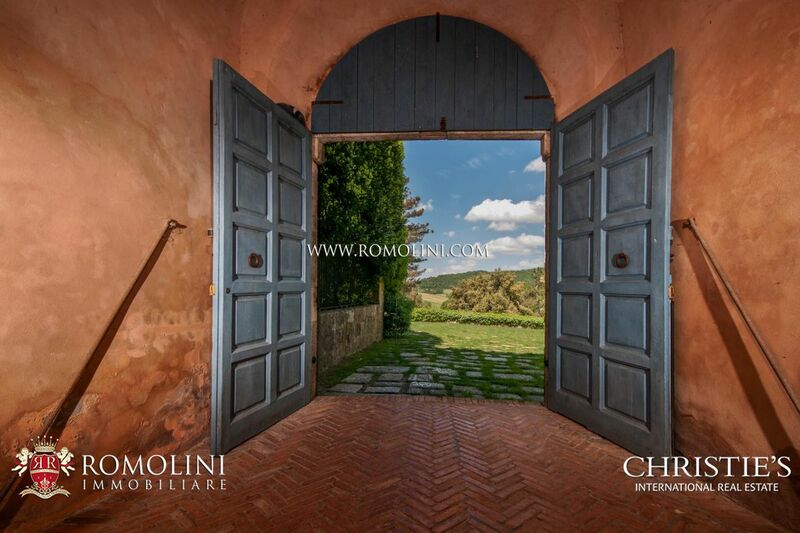 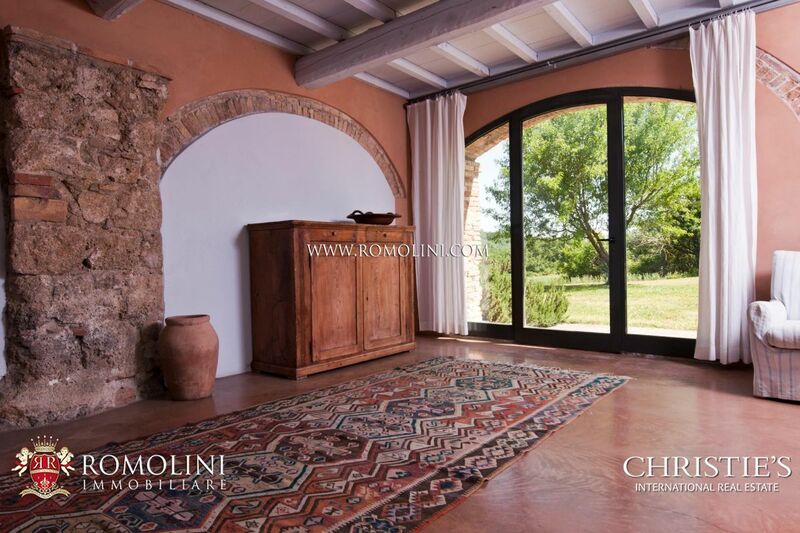 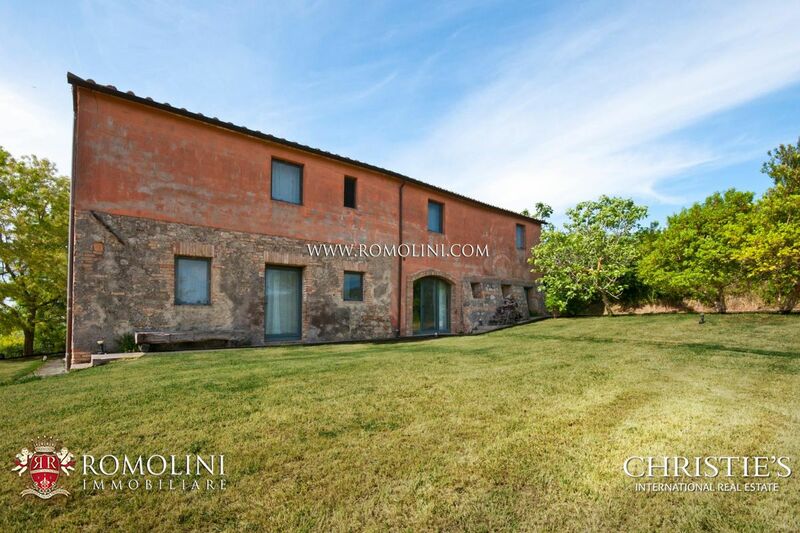 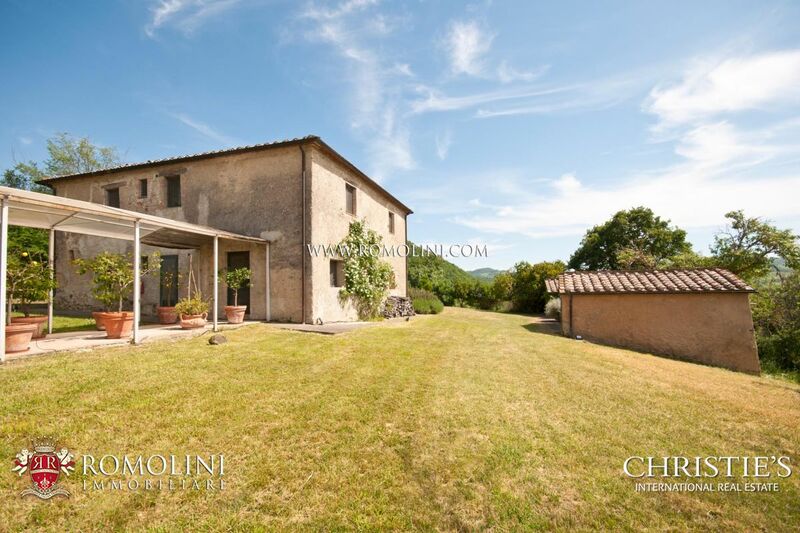 On the hills between Valdichiana and Val d’Orcia, in the province of Siena, impressive 755-hectare estate for sale with 11th-century medieval abbey, eleven farmhouse (each with an exclusive pool) and stables for horse-breeding. 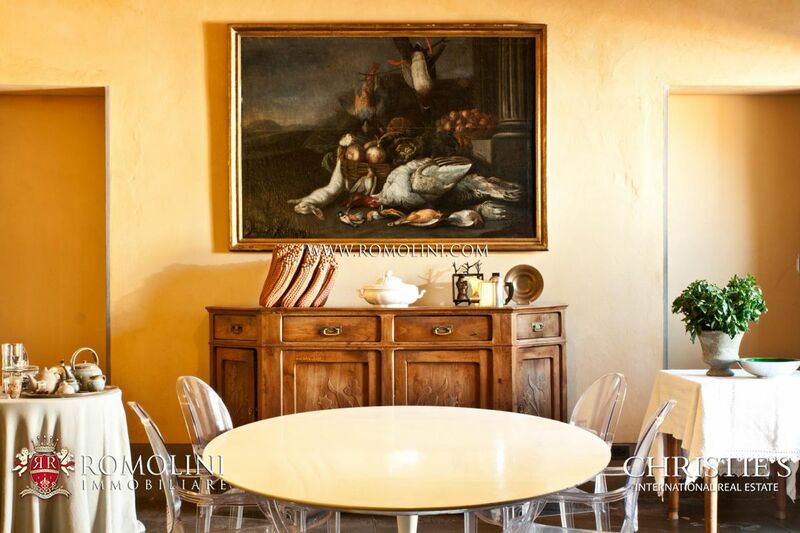 The estate is currently run as an accommodation business, where the farmhouses, the foresteria and part of the abbey are rented out to tourists. 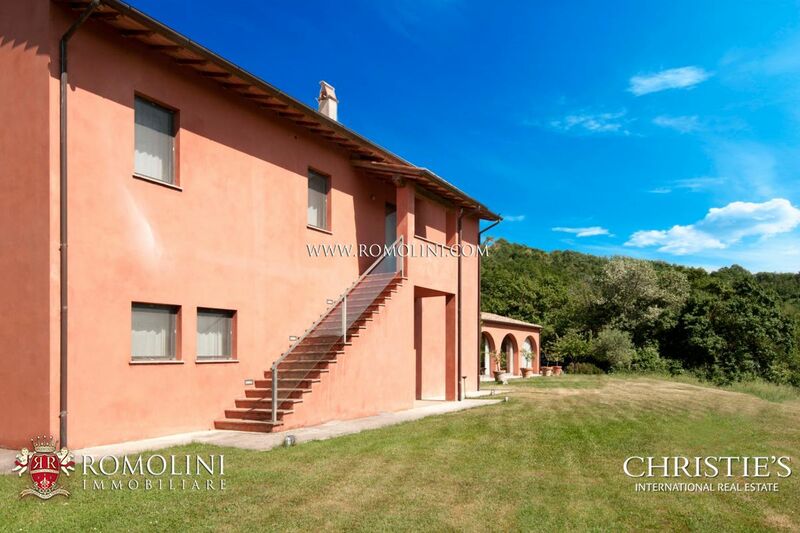 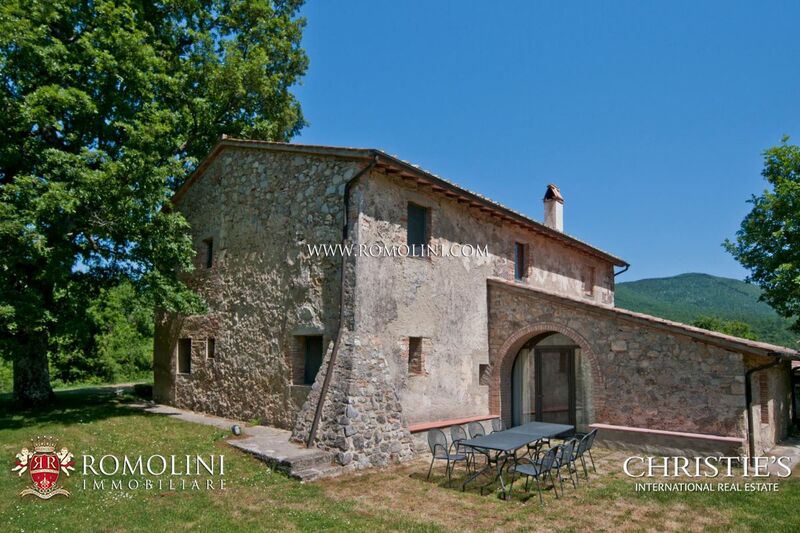 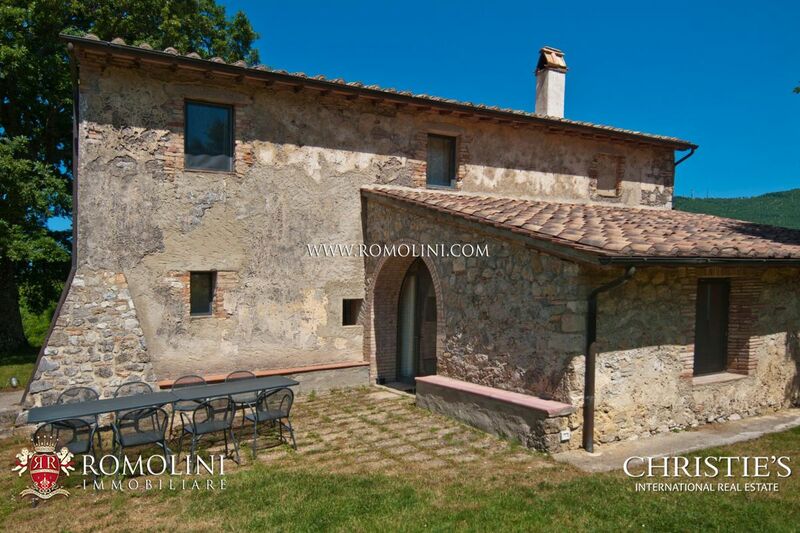 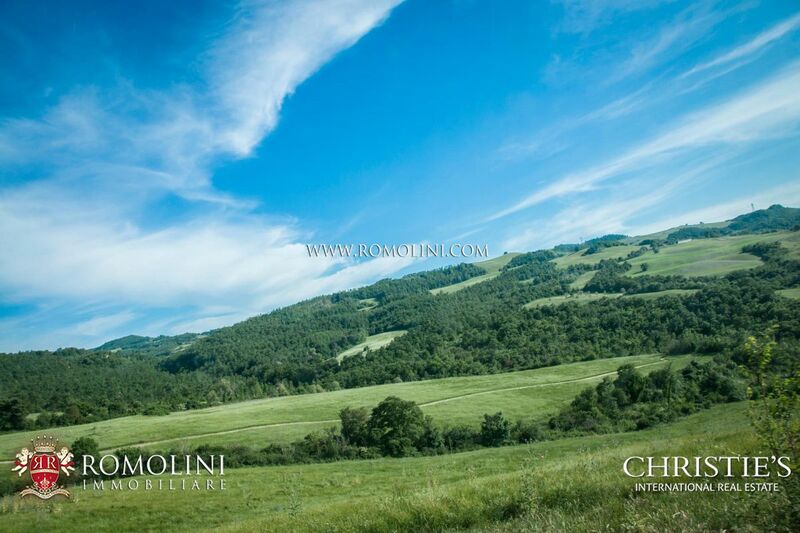 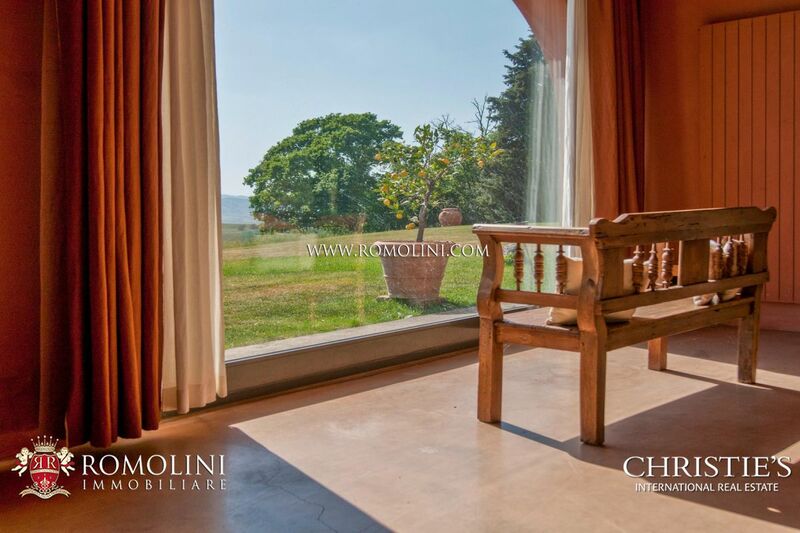 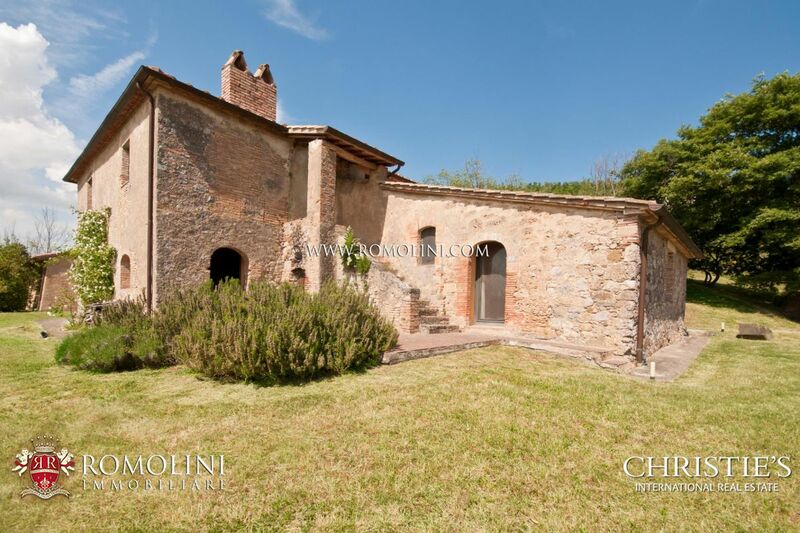 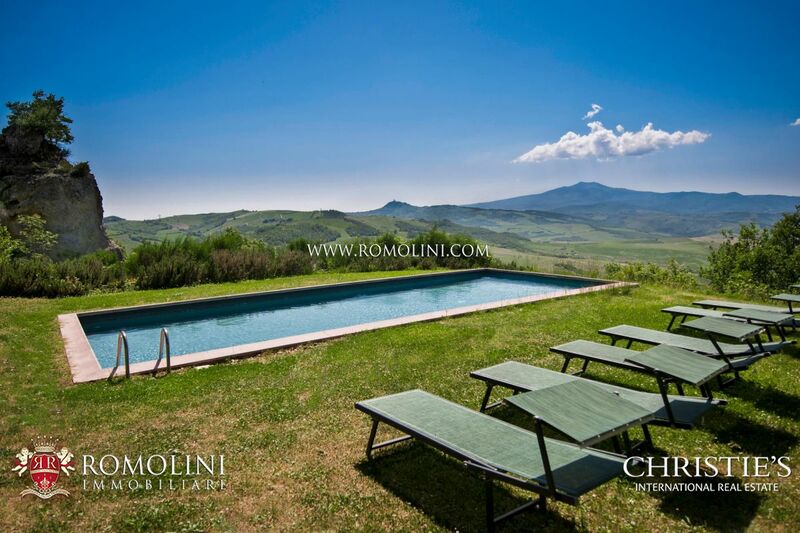 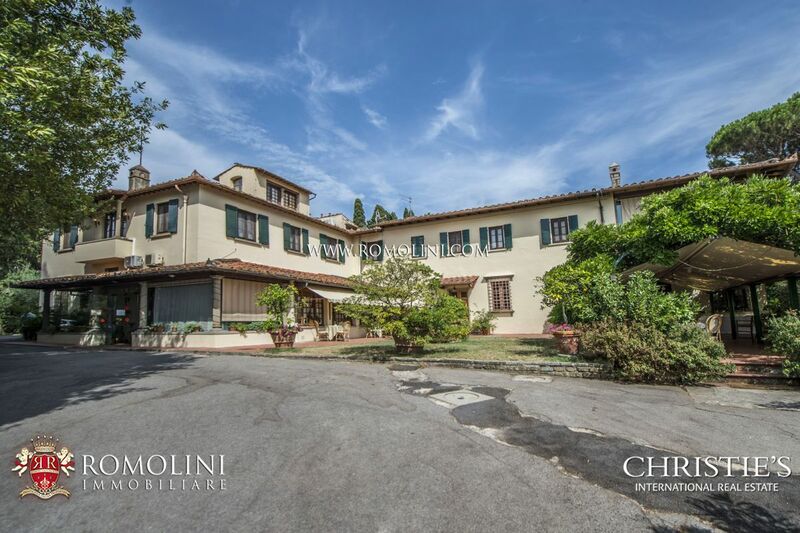 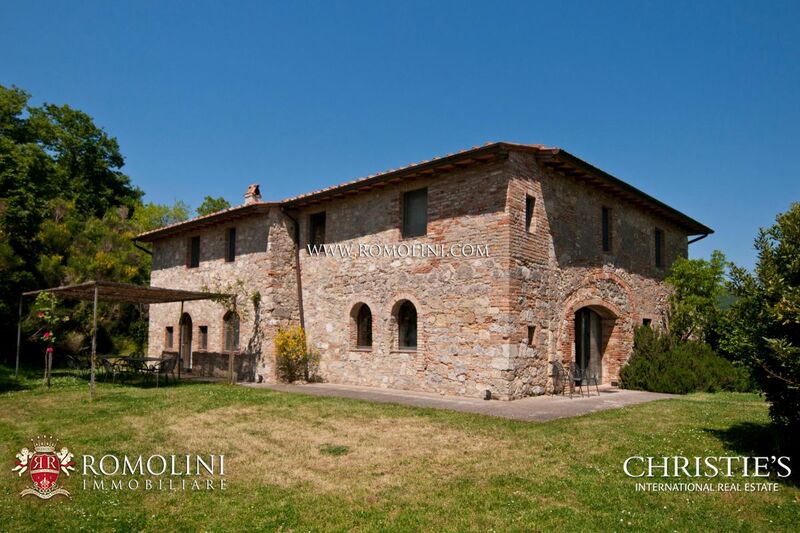 Strong point of the property is the vicinity to a town with all the services (6km; 10’) and the most interesting and renowned towns of Tuscany, Umbria and Lazio: Chiusi (16km; 25’), the thermal facilities of San Casciano dei Bagni (21km; 30’), Montepulciano (27km; 40’), Castiglione del Lago on the Trasimeno Lake (34km; 45’), the papal Pienza (39km; 50’), Montalcino with its renowned Brunello (54km; 1h), Bolsena with the castle overlooking the homonym lake (59km; 1h 5’), the medieval city of Siena (88km; 1h 15’), San Galgano’s abbey (122km; 1h 40’), Florence, cradle of the Renaissance (129km; 1h 40’), San Gimignano’s towers (135km; 1h 50’) and the eternal city of Rome (169km; 2h). 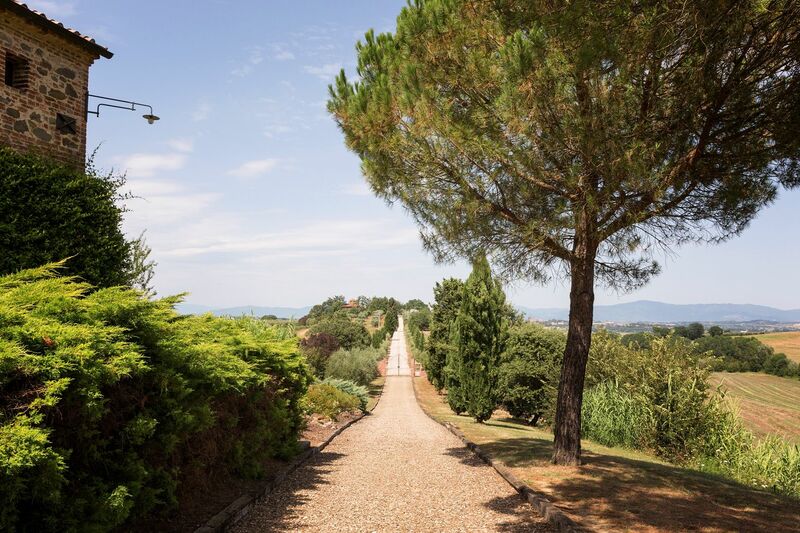 The most convenient airports to reach the property are Perugia Sant’Egidio (105km; 1h 20’), Grosseto Baccarini (113km; 1h 50’), Firenze Peretola (149km; 1h 40’), Roma Ciampino (183km; 2h 10’), Roma Fiumicino (198km; 2h), Pisa Galilei (209km; 2h 20’), Bologna Marconi (230km; 2h 30’) and Milano Linate (426km; 4h 10’). 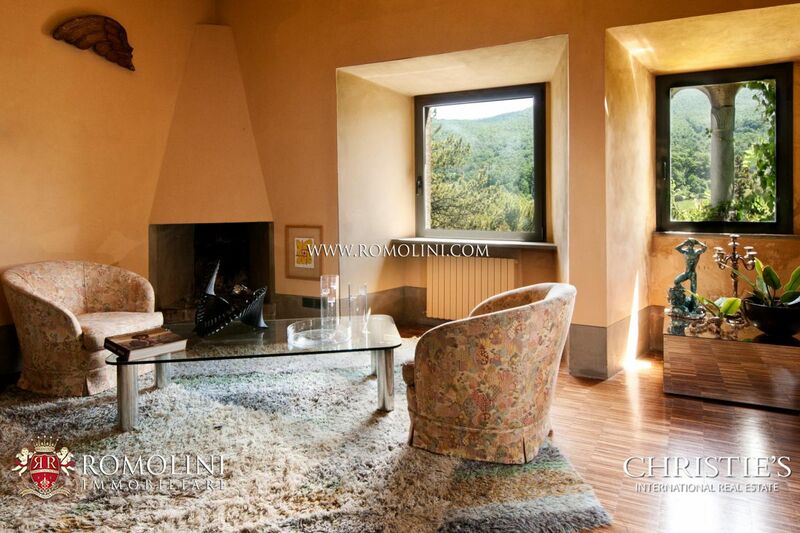 - Second floor: four bedrooms with en-suite bathroom. 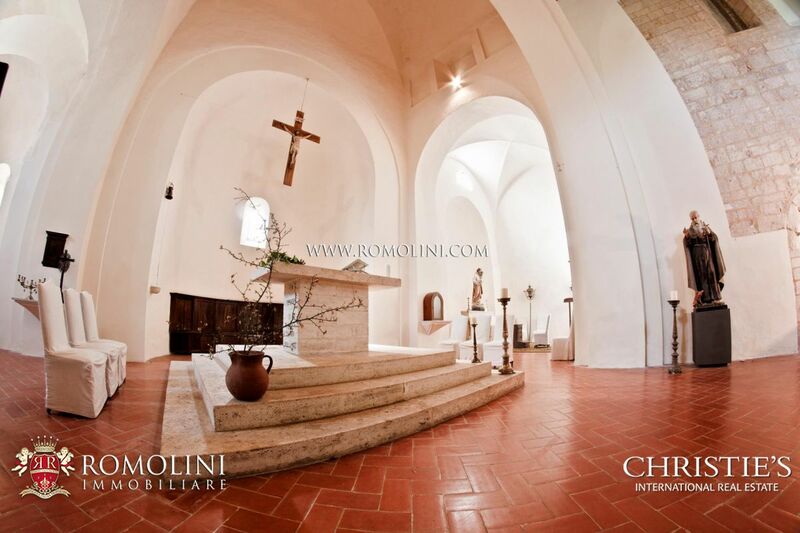 Inside the abbey is included the beautiful church (not for sale, but usable), still working, which could be exploited for celebrations and events. 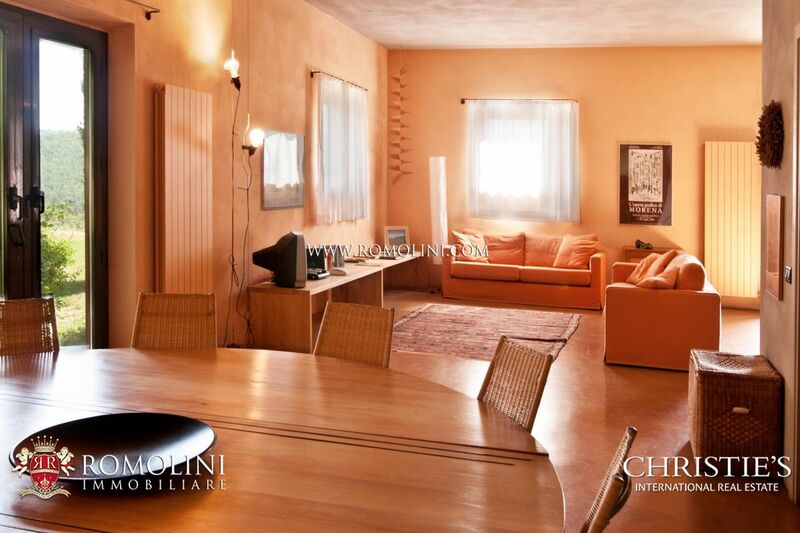 - First floor: living room and four bedrooms with en-suite bathroom. 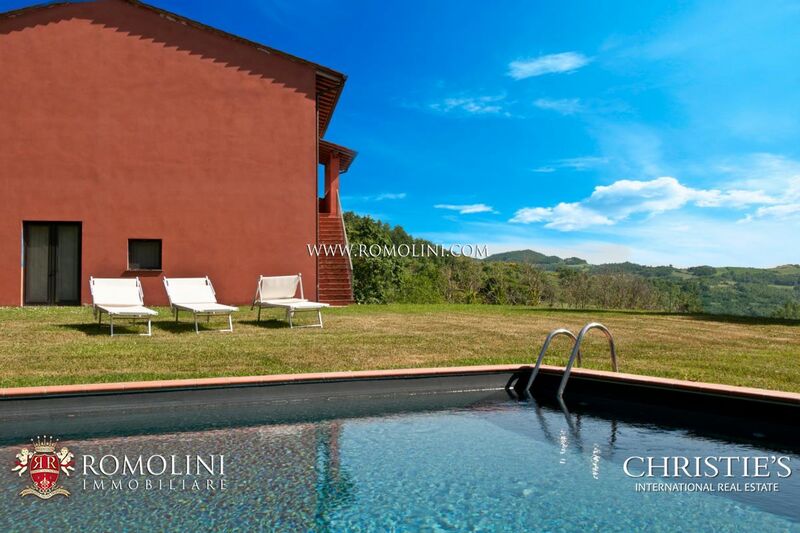 On the outside one can find an exclusive 12 x 6 m swimming pool. 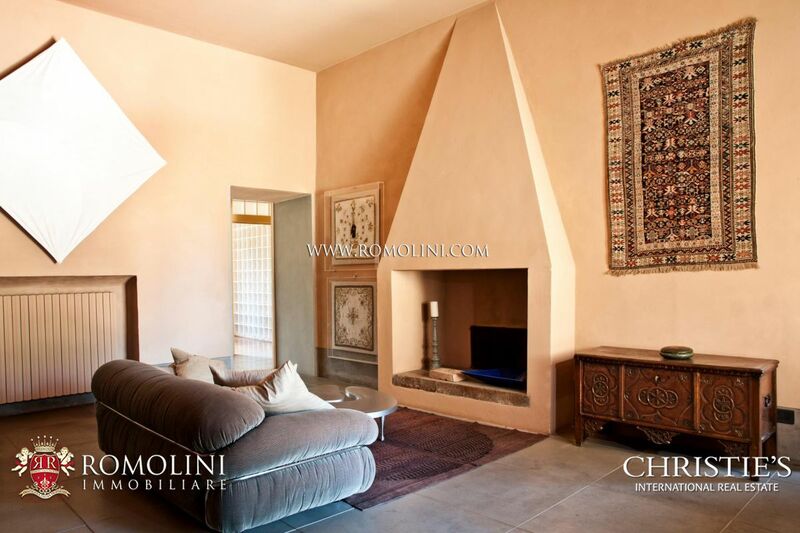 - First floor: living room, service bathroom and three bedrooms with en-suite bathroom. 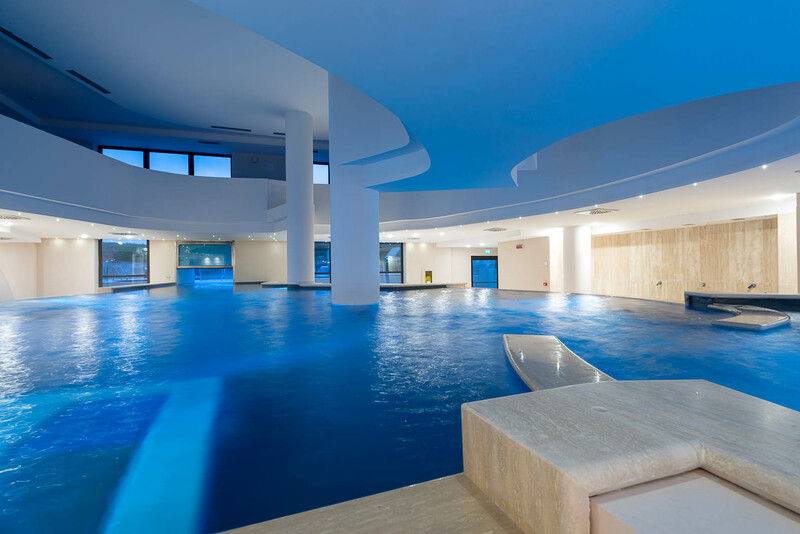 On the outside one can find an exclusive rounded swimming pool (10 m in diameter). 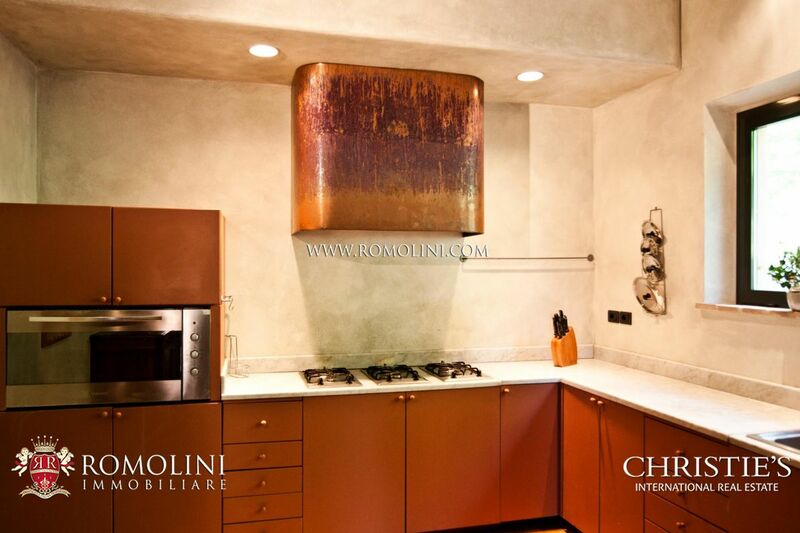 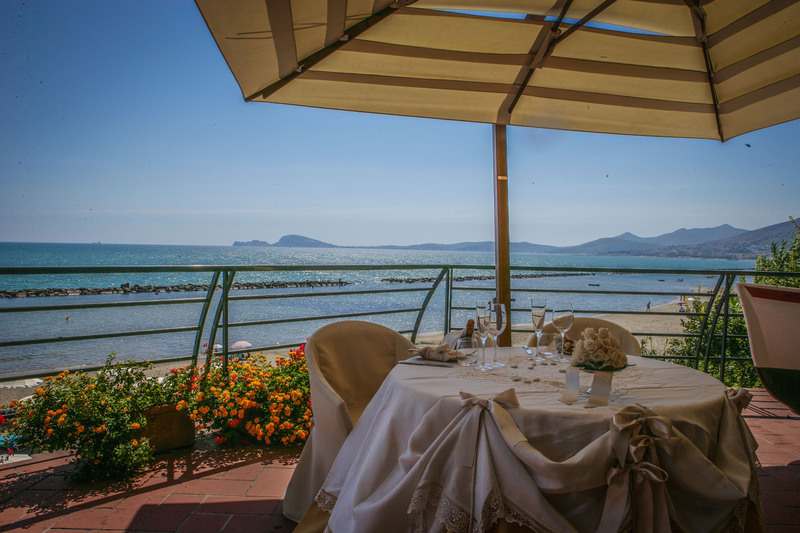 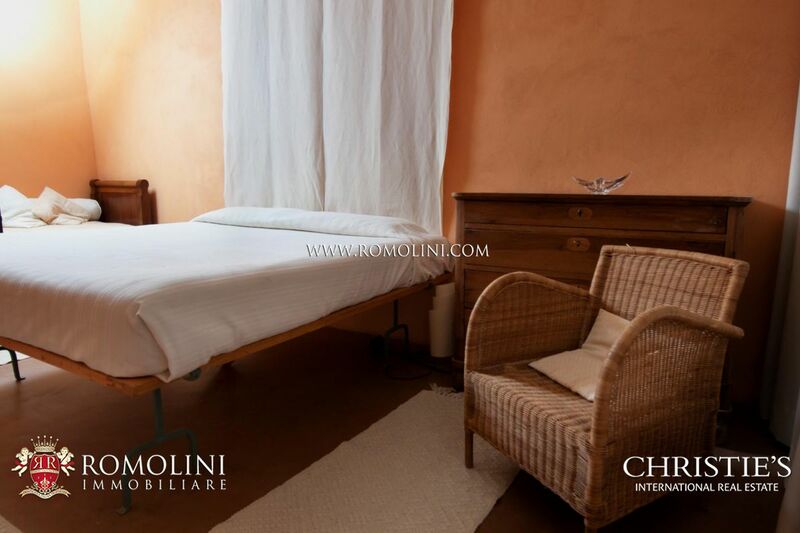 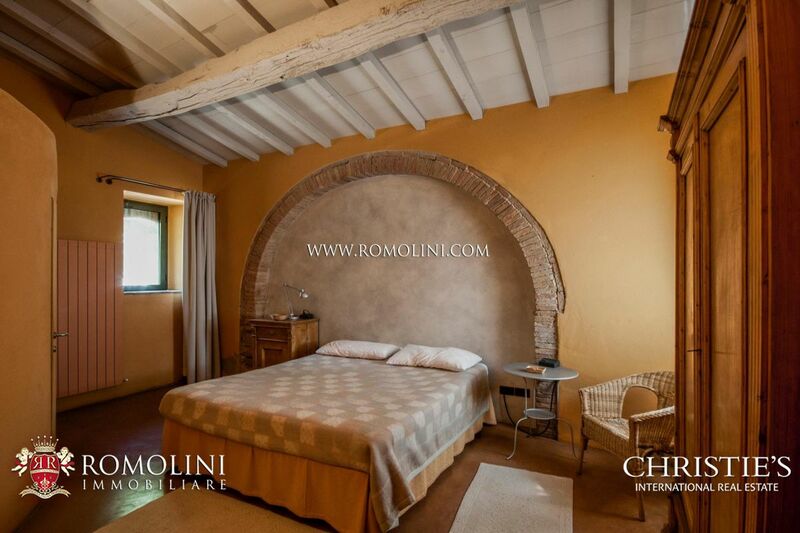 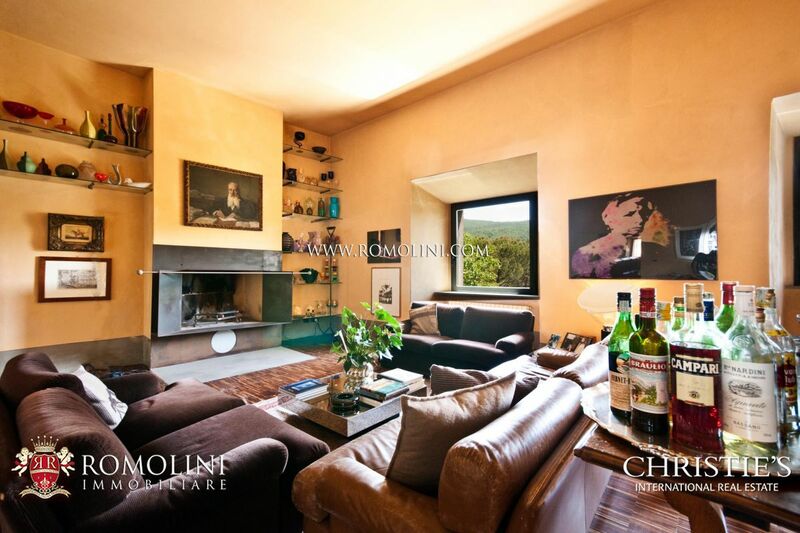 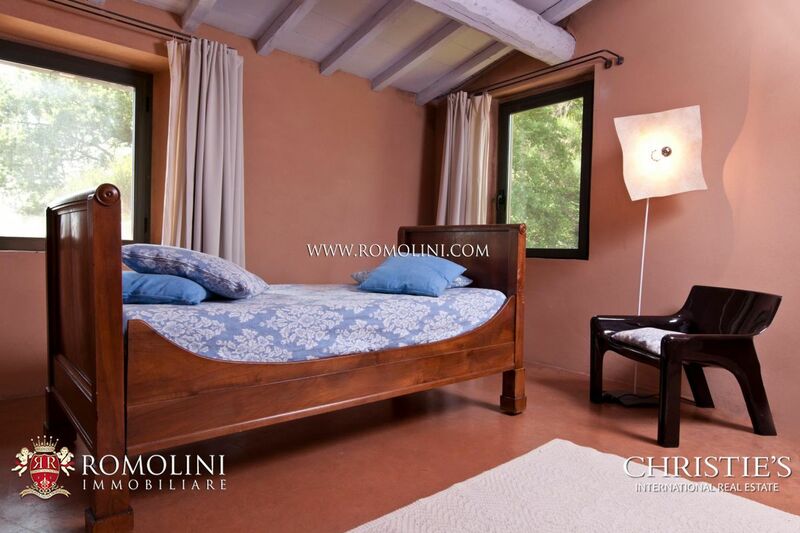 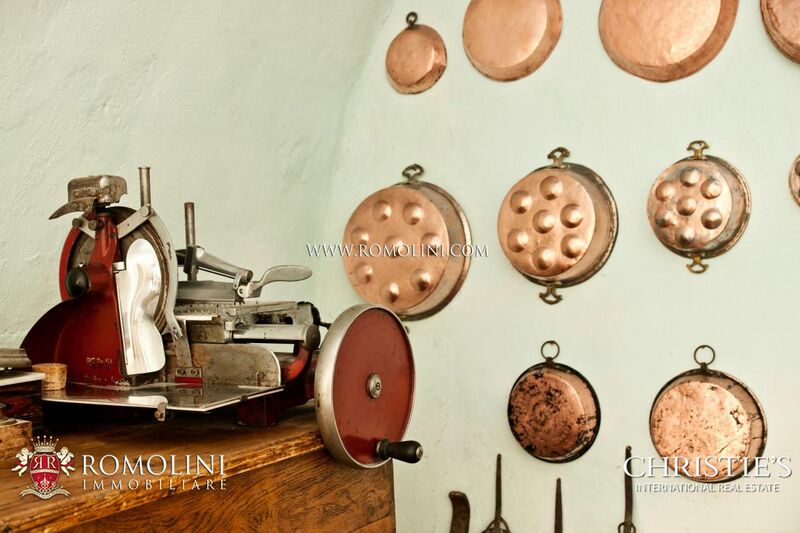 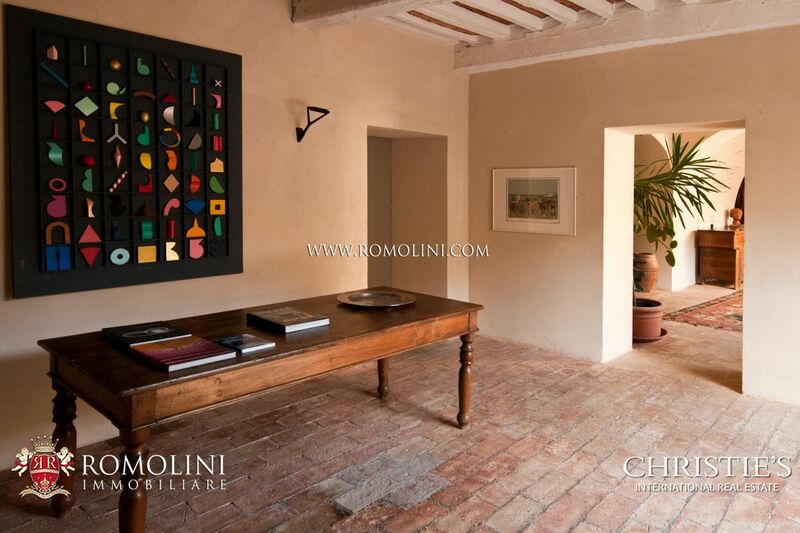 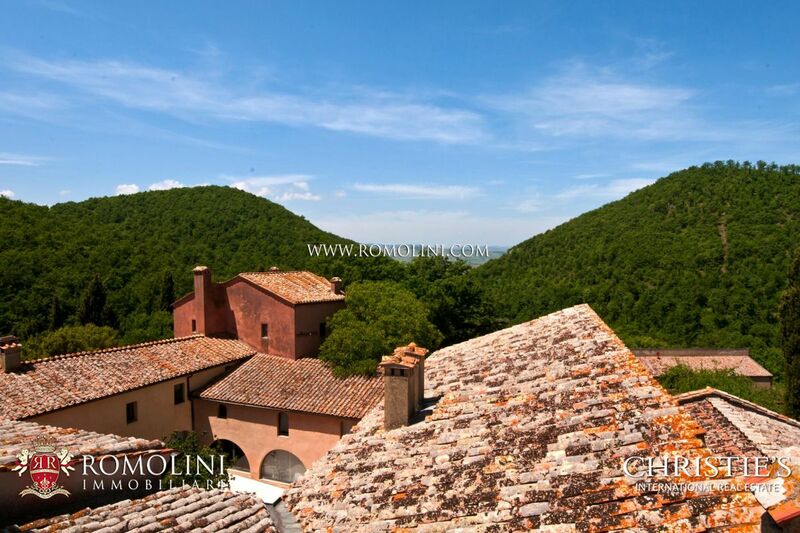 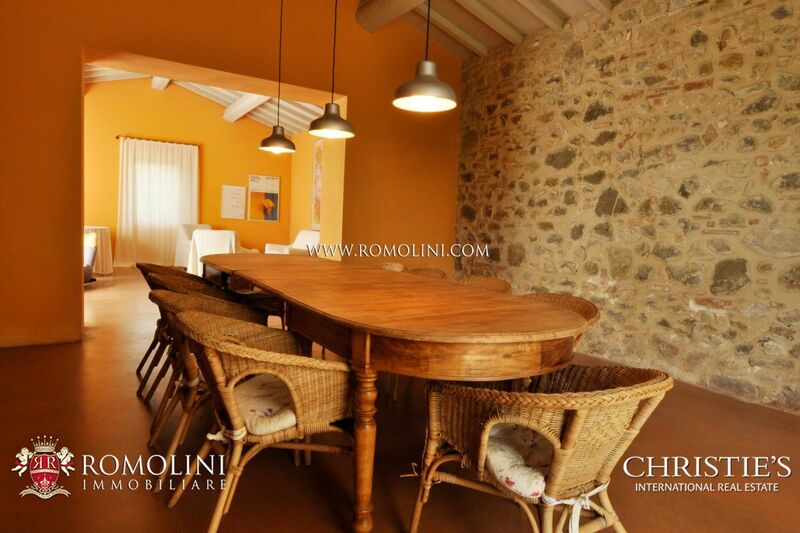 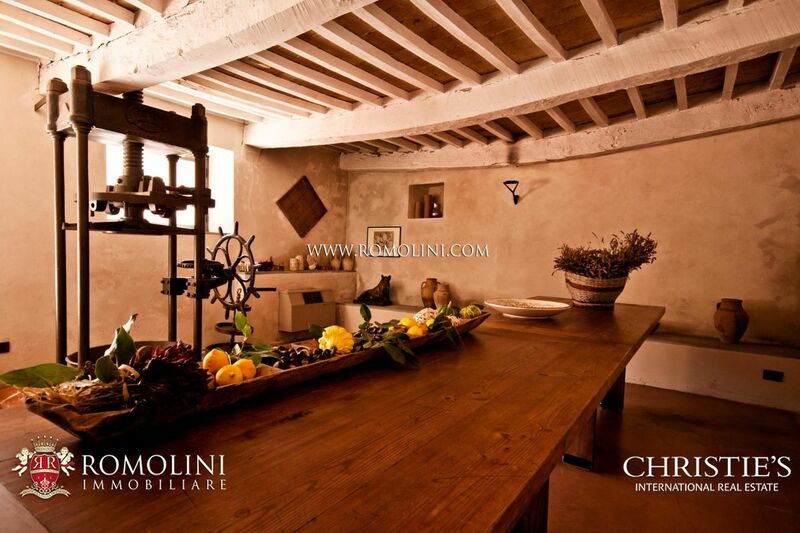 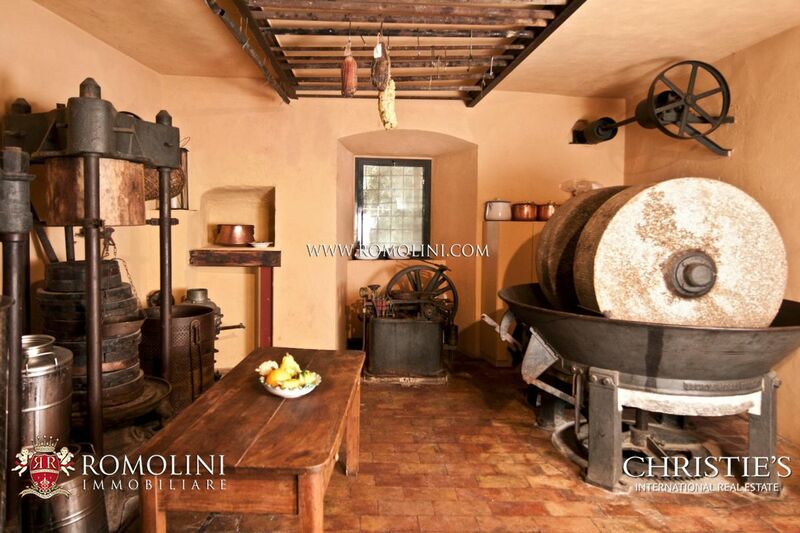 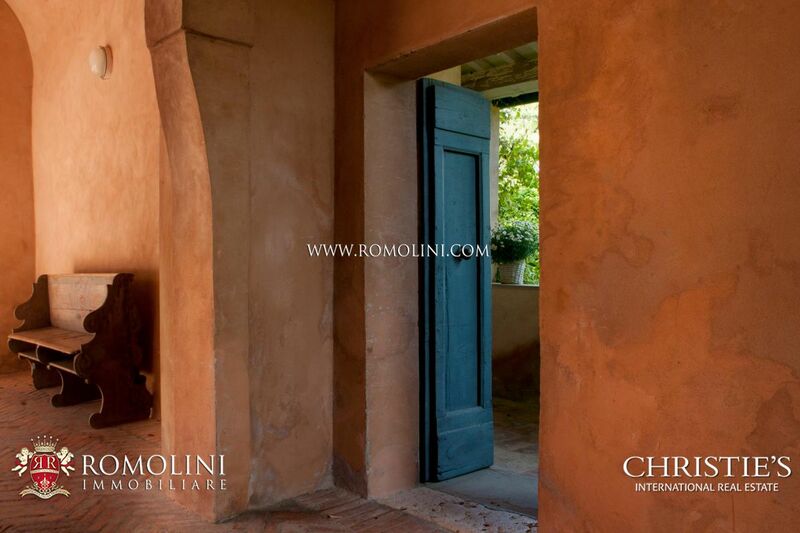 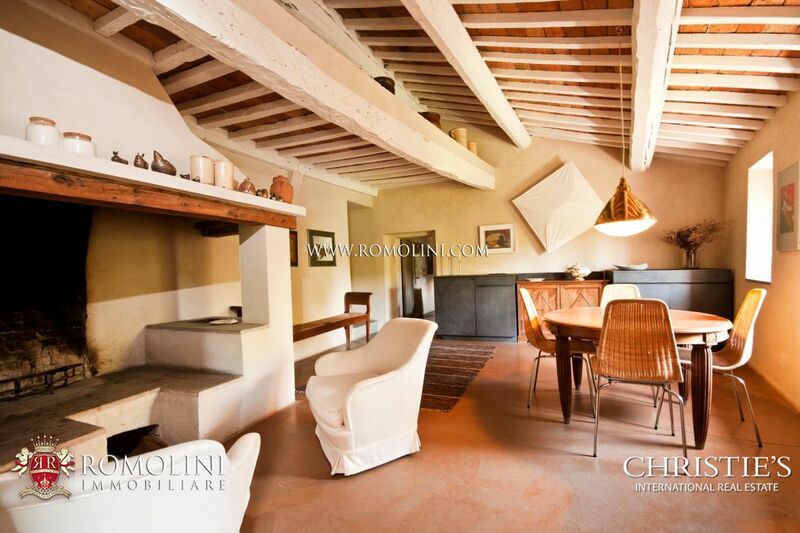 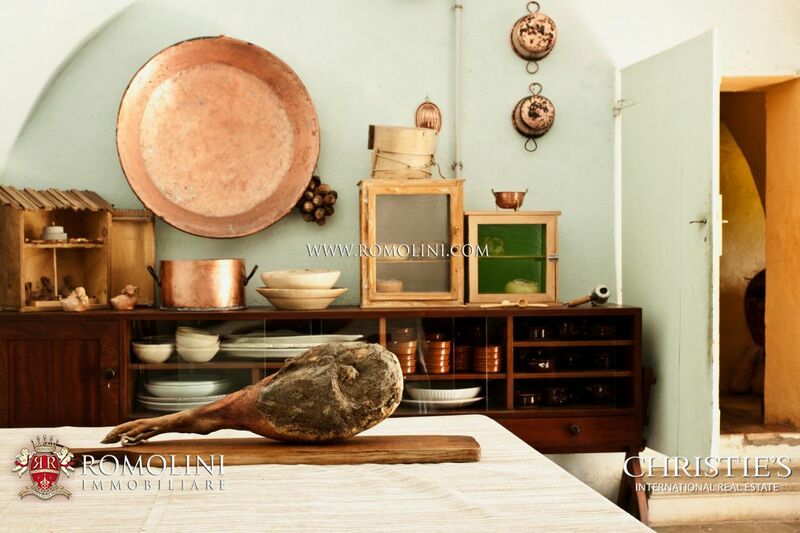 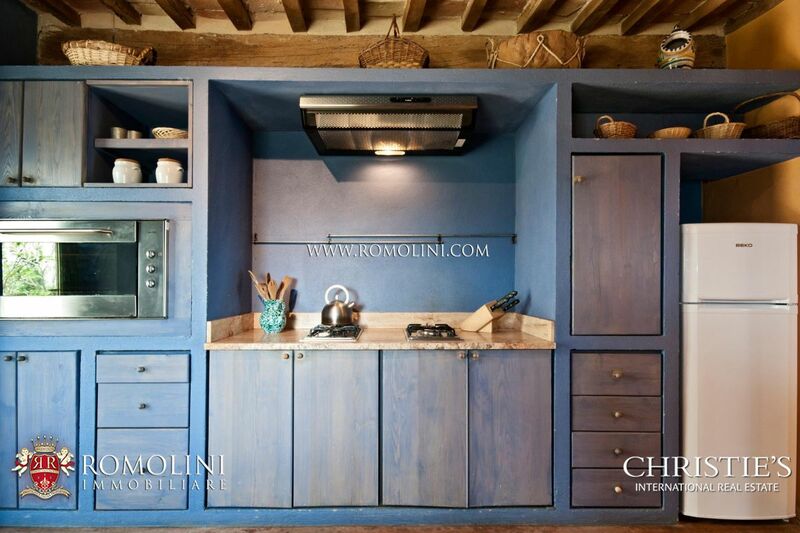 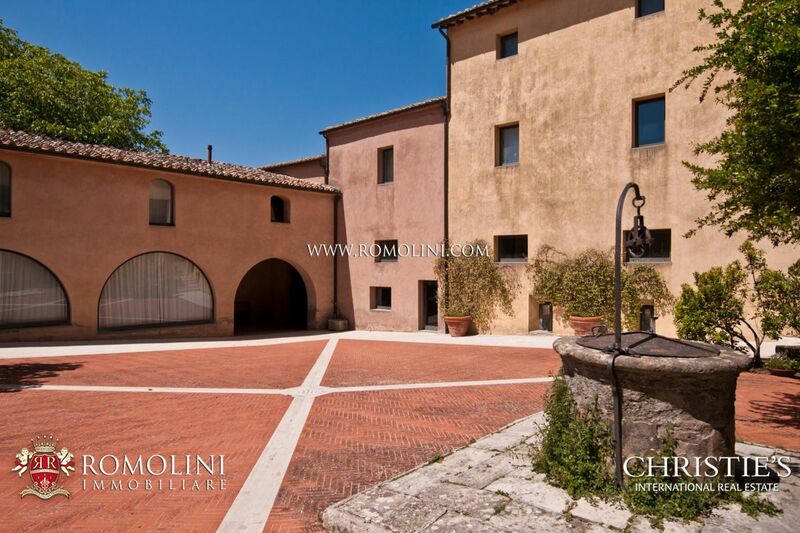 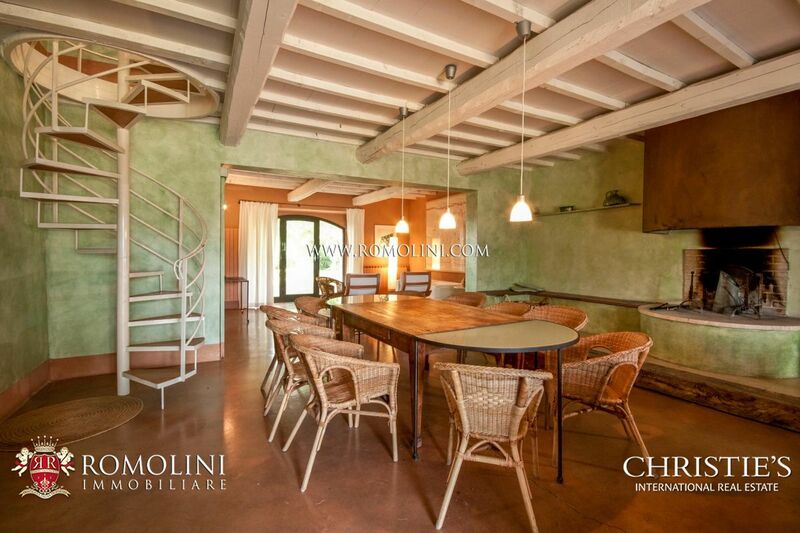 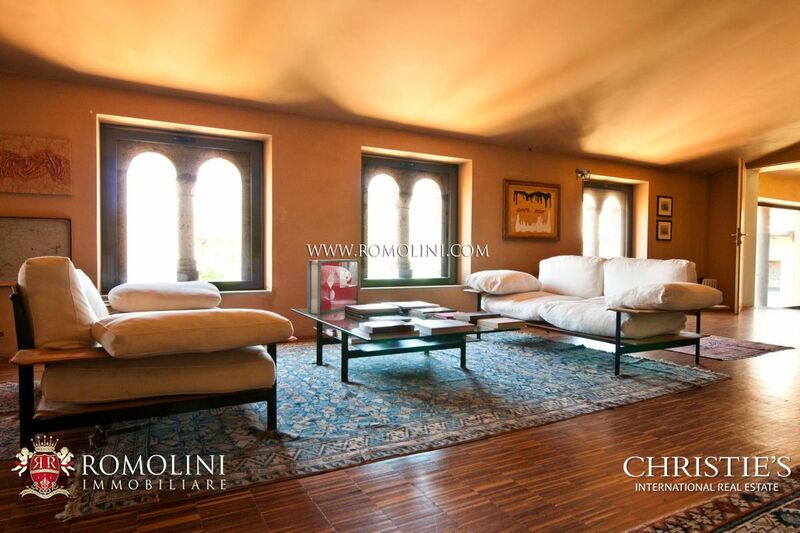 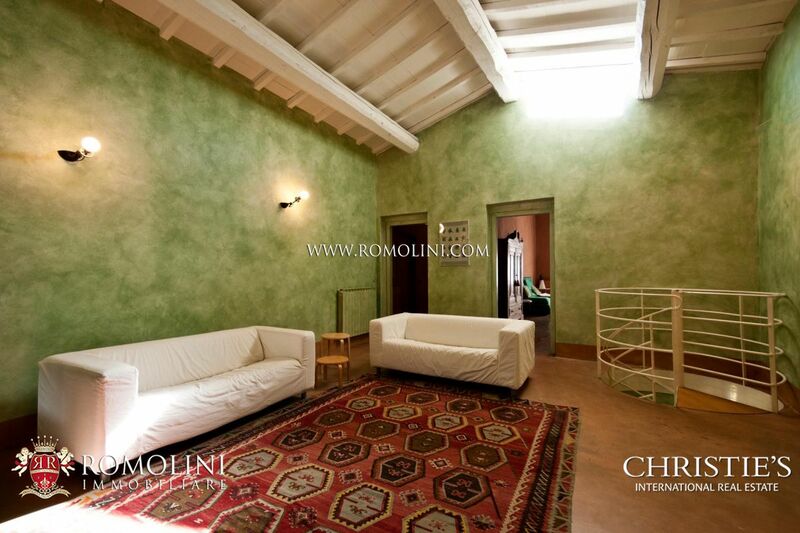 - First floor: technical room and four bedrooms with en-suite bathroom, two of which with direct access to the loggia. 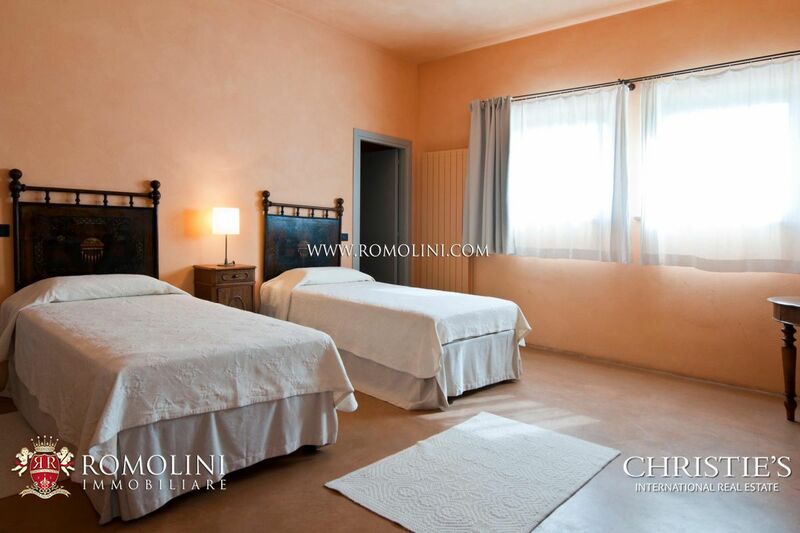 - First floor: three bedrooms with en-suite bathroom. 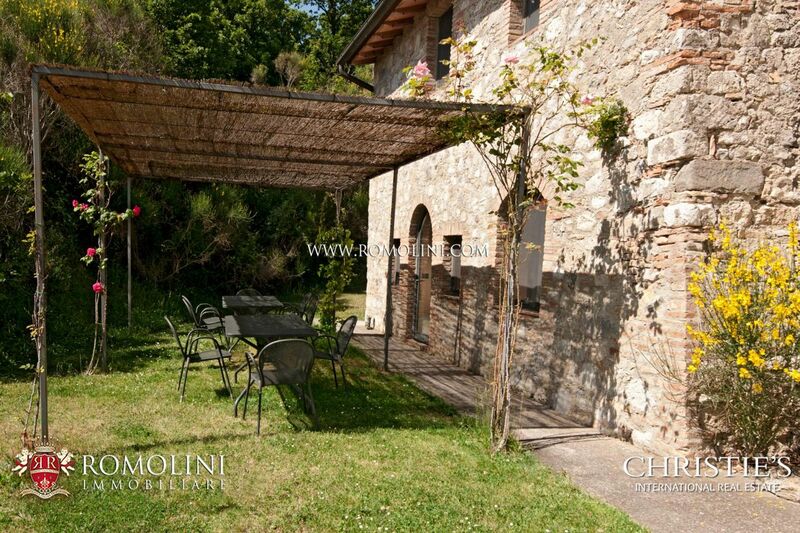 - First floor: four bedrooms with en-suite bathroom. 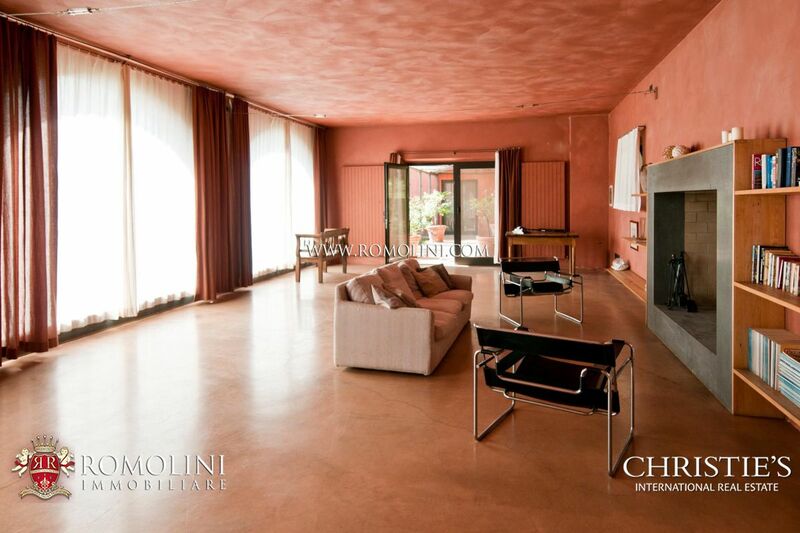 - First floor: living room and five bedrooms with en-suite bathroom. 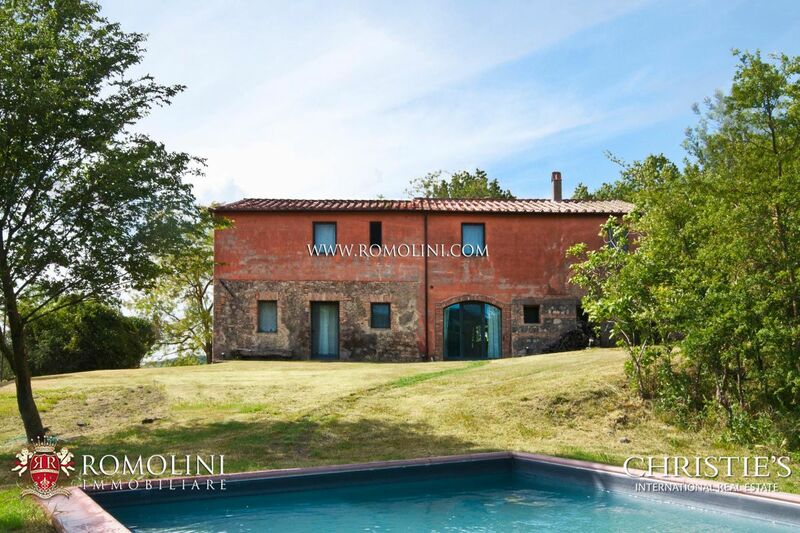 On the outside one can find an exclusive 12 x 6 m swimming pool and a small annex used as laundry room. 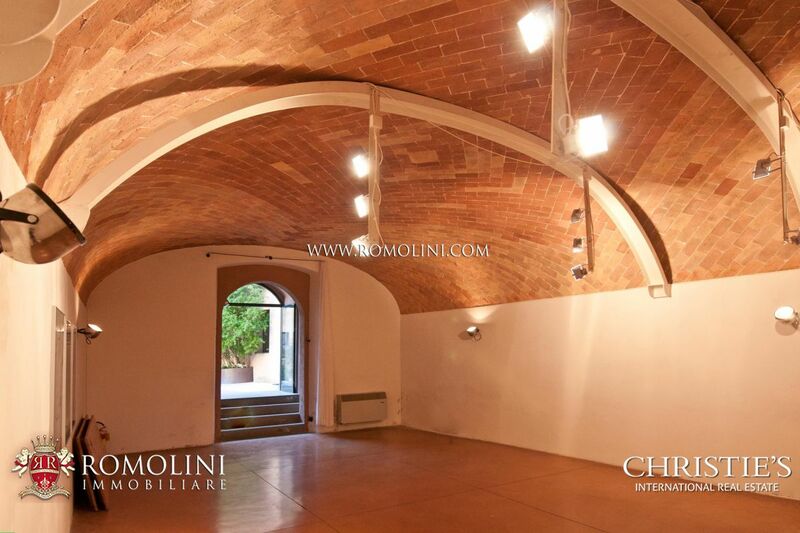 - First floor: living room and three bedrooms with en-suite bathroom. 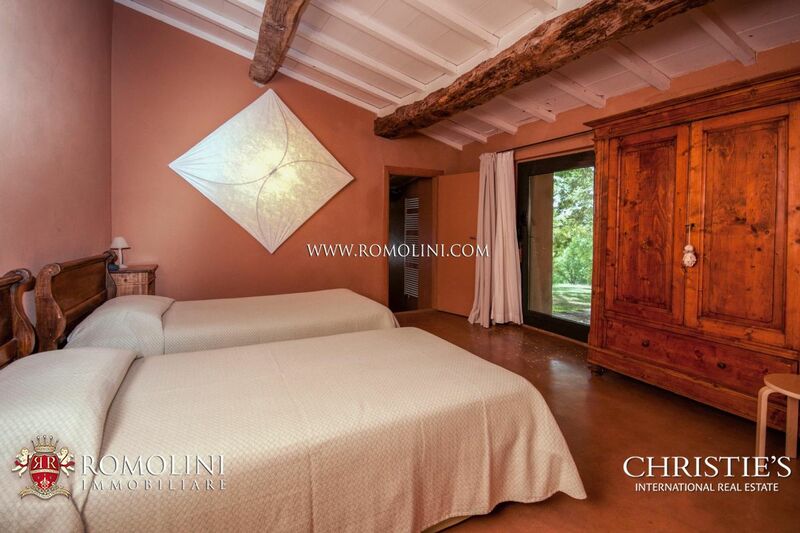 Two annexes complete the podere: the first one is made up of a dining room and living room, the second one of two bedrooms with en-suite bathrooms. 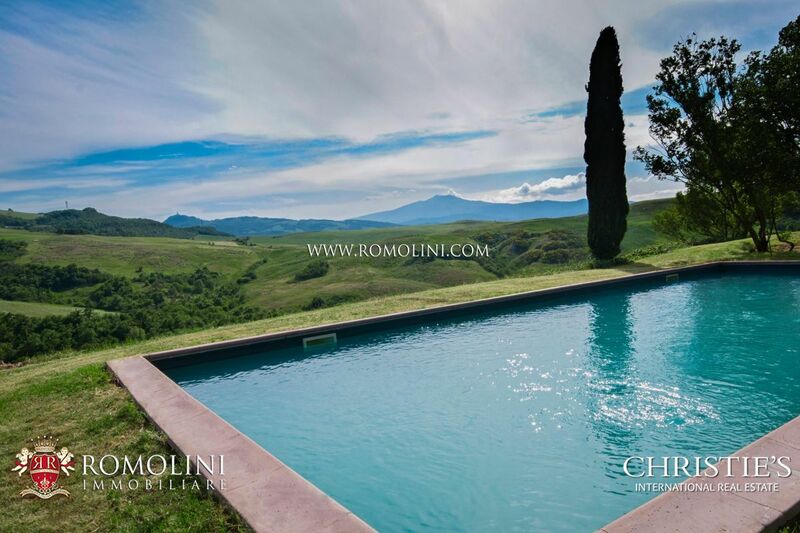 On the outside one can find an exclusive 12 x 6 m swimming pool. 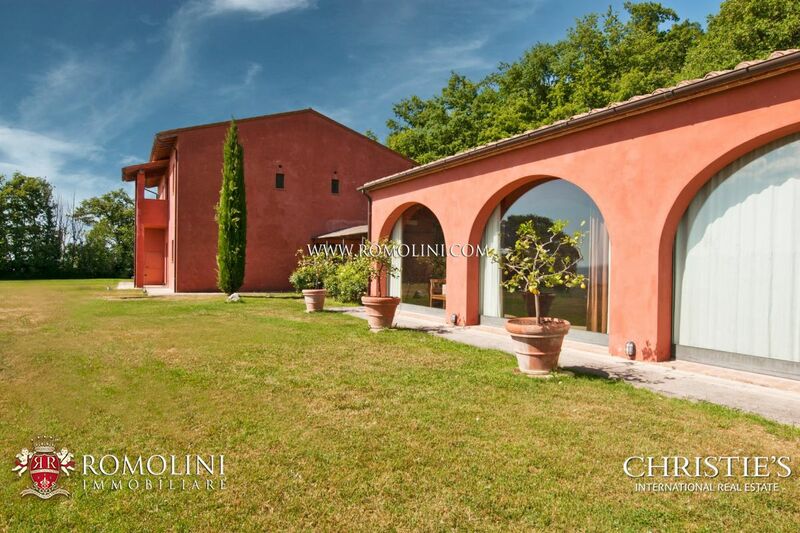 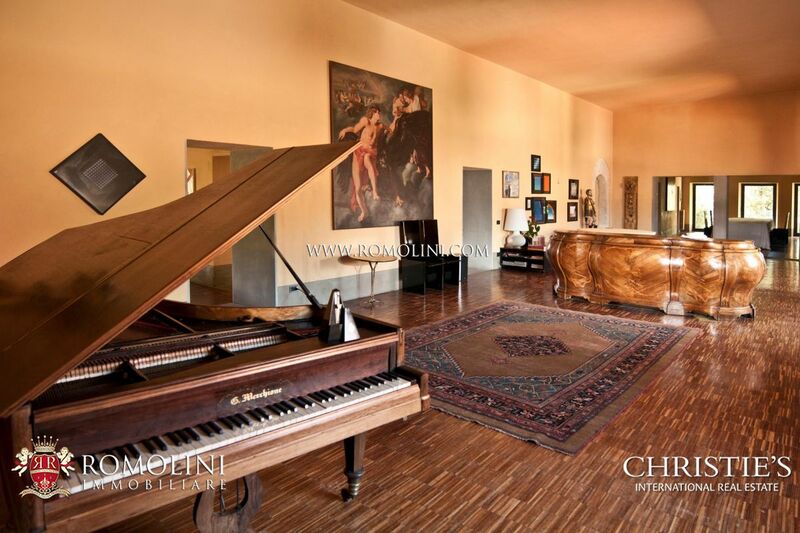 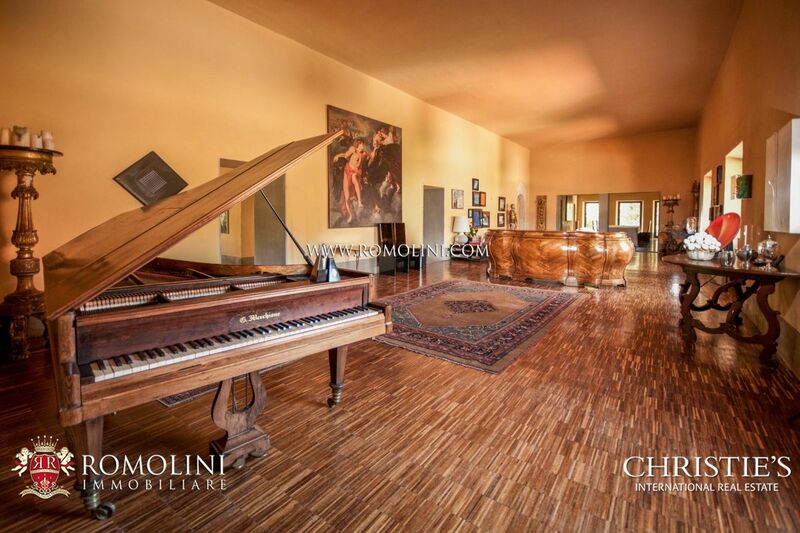 - First floor: entrance/living hall and five bedrooms with en-suite bathroom. 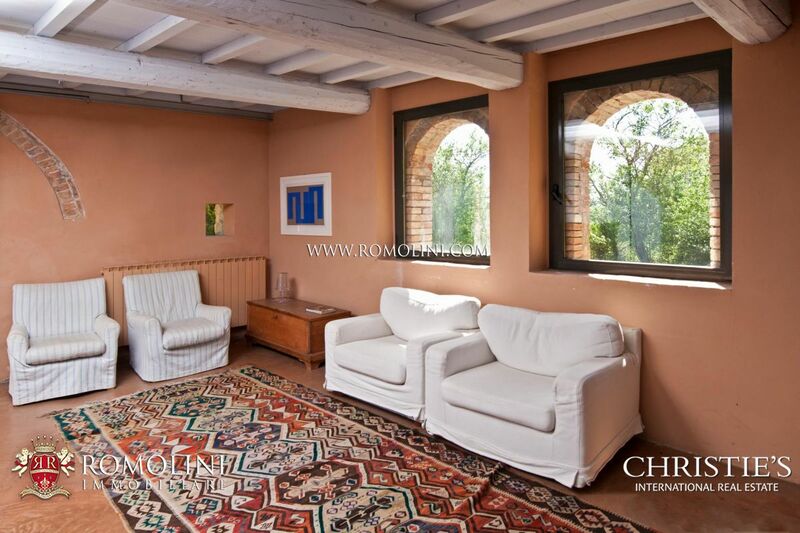 A small annex hosts a multipurpose room with fireplace. 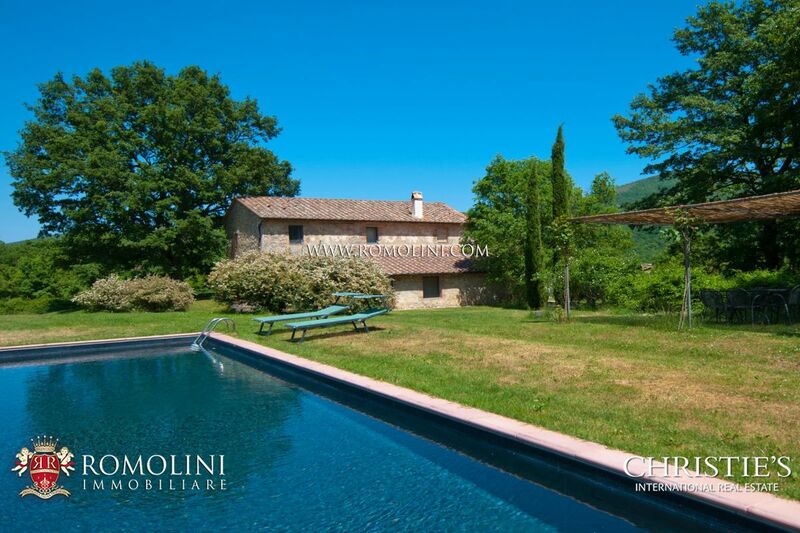 On the outside one can find an exclusive 12 x 6 m swimming pool. 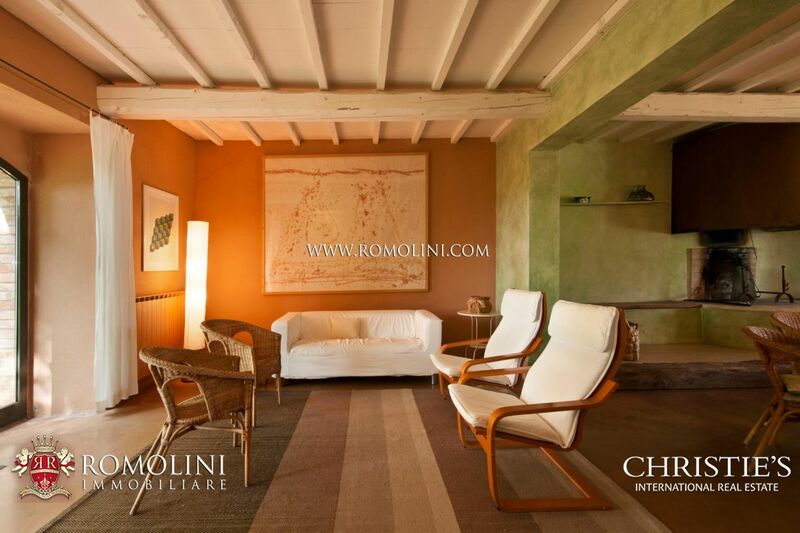 - First floor: living room and nine bedrooms with en-suite bathroom. 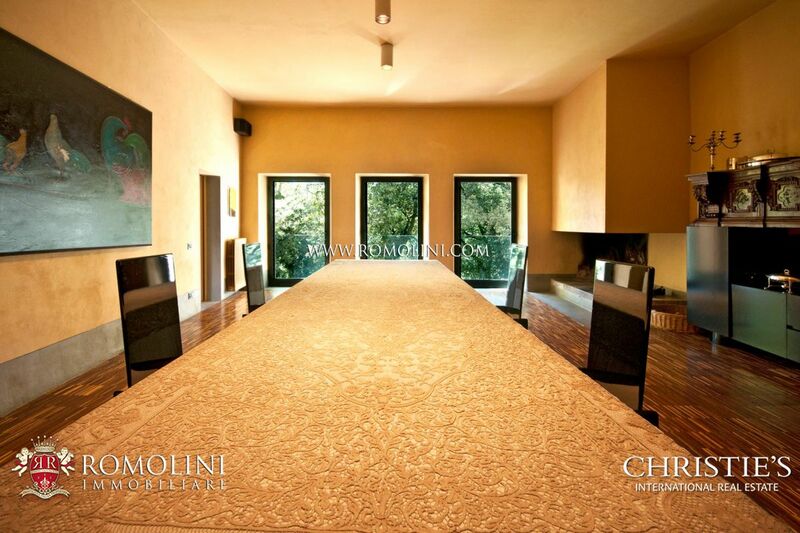 A conference hall (244 sqm – 2,625 sqft) hosts an ample room for business events/meetings, a wardrobe and two service bathrooms. 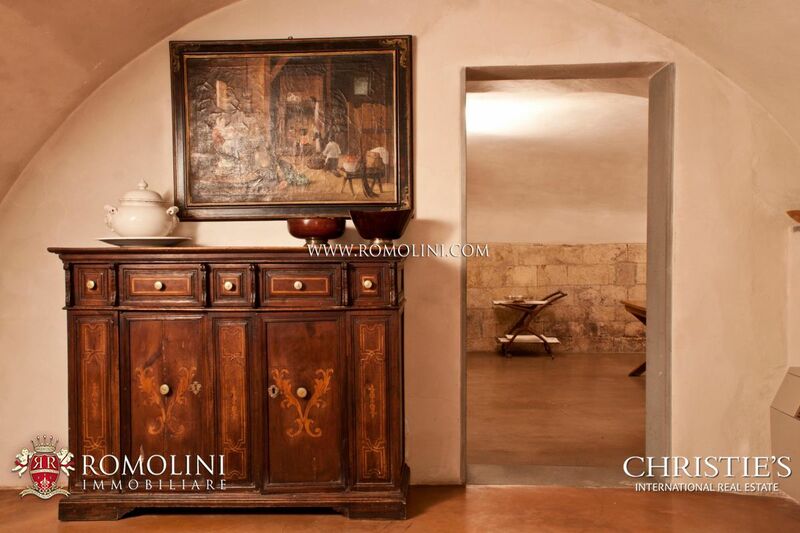 The hall can host up to 200 guests. 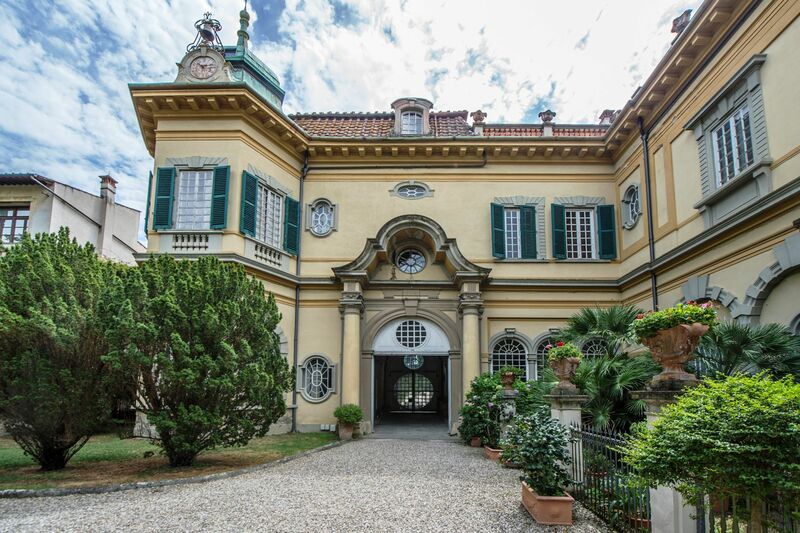 The old aviary, made out of iron and glass, has been recovered and converted into a space for events, celebrations and meetings. 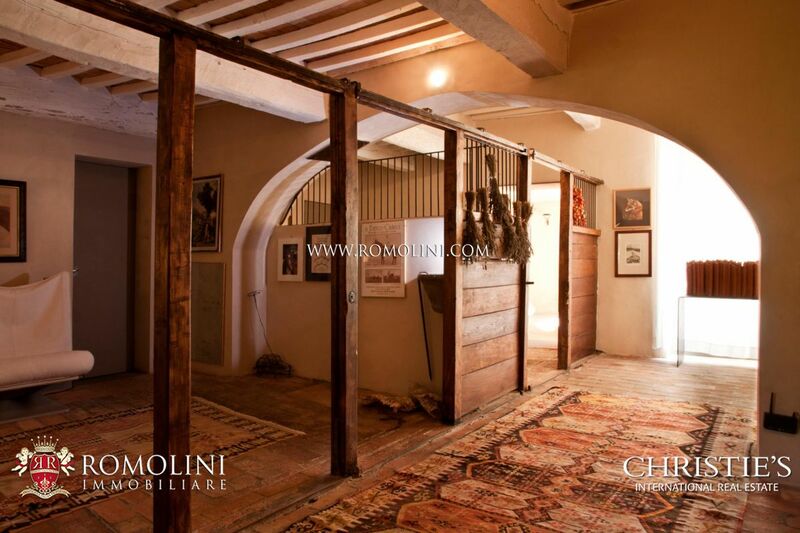 Two stables host a total of 36 boxes for the horses, a barn and three apartments currently inhabited by the grooms of the property. 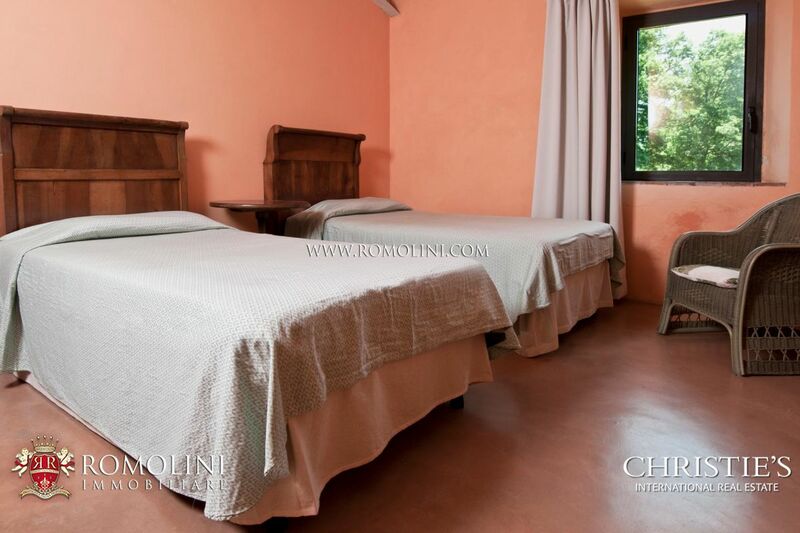 A workshop hosts several rooms used as recovery and/or storage. 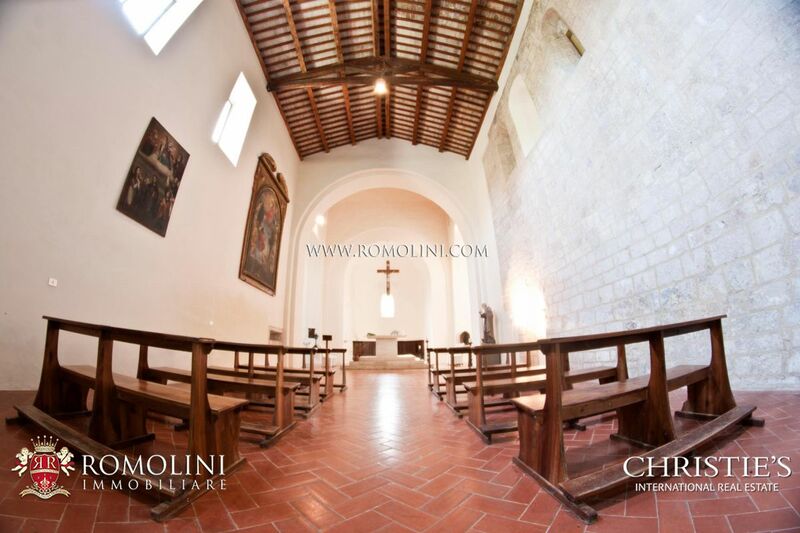 The history of the abbey started in 1085, when the widow of a powerful earl of the area ordered the construction of the building. 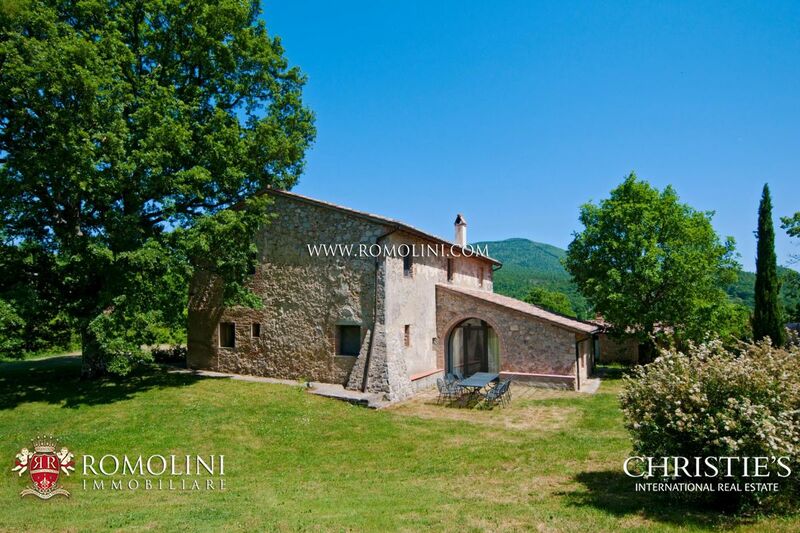 In 1112 the building was passed onto the monks of the Vallumbrosan Order, which were then tasked with taking care of the land. 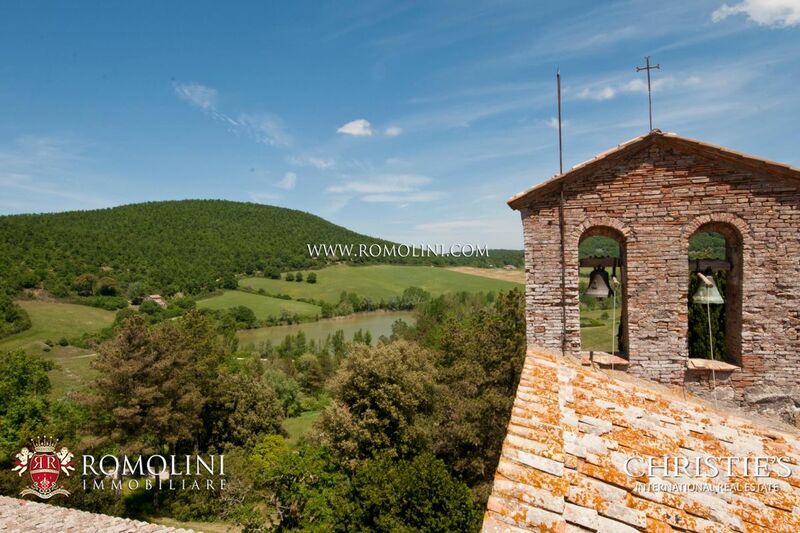 Just a few years later (when the abbey was under the protection of Orvieto, 1120) portions of land were given to noblemen of the area to build houses and fortifications, whose remains are still nowadays visible in the estate. 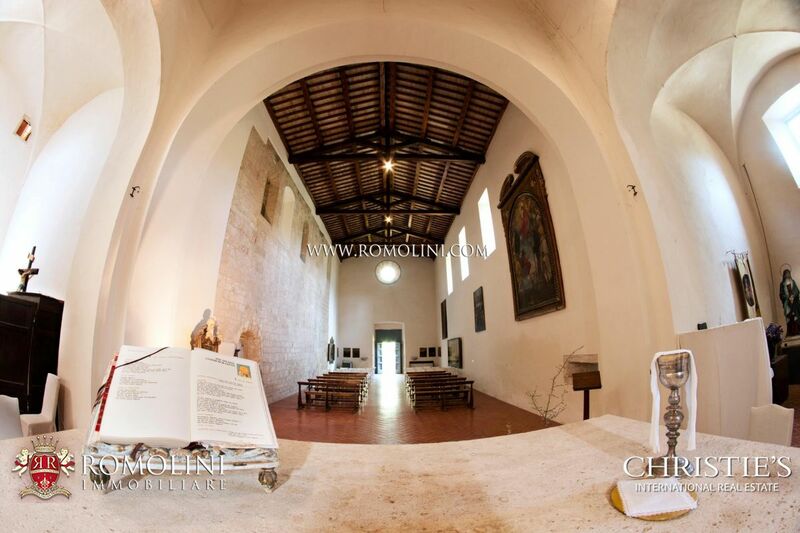 After entering the Sienese Republic, for the entire duration of the Middle Ages and the first years of Modern Age, the abbey has remained a landmark for the pilgrims traveling to Rome through the nearby Via Francigena. 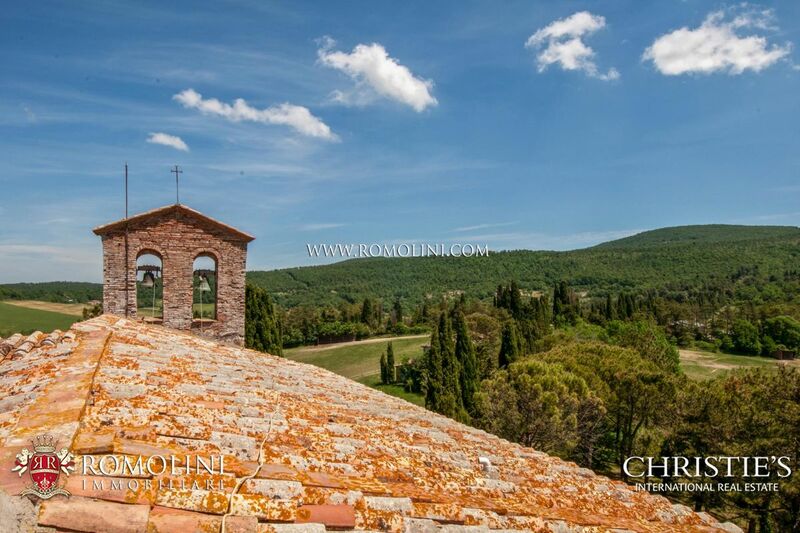 Inevitably, in the last years of 15th century, the abbey faced a slow but inexorable decadence. 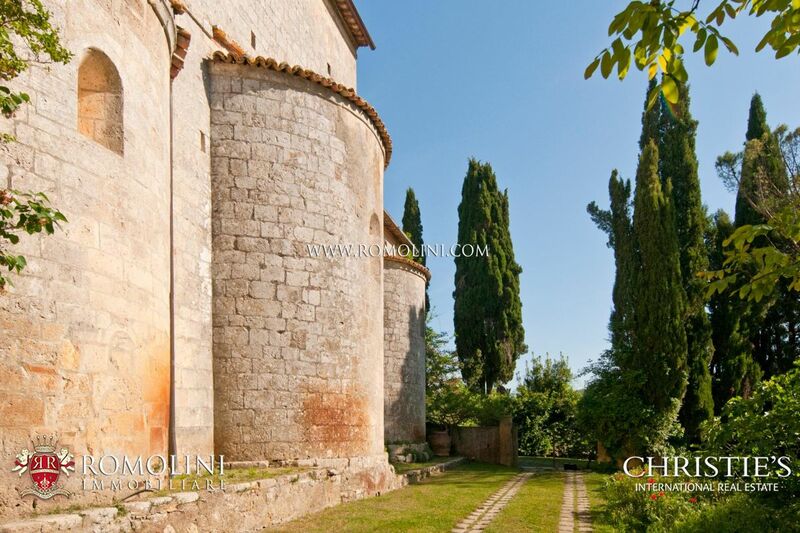 Many fights marked the history of the abbey which ended up in the hands of the Cistercians in the first half of the 17th century. 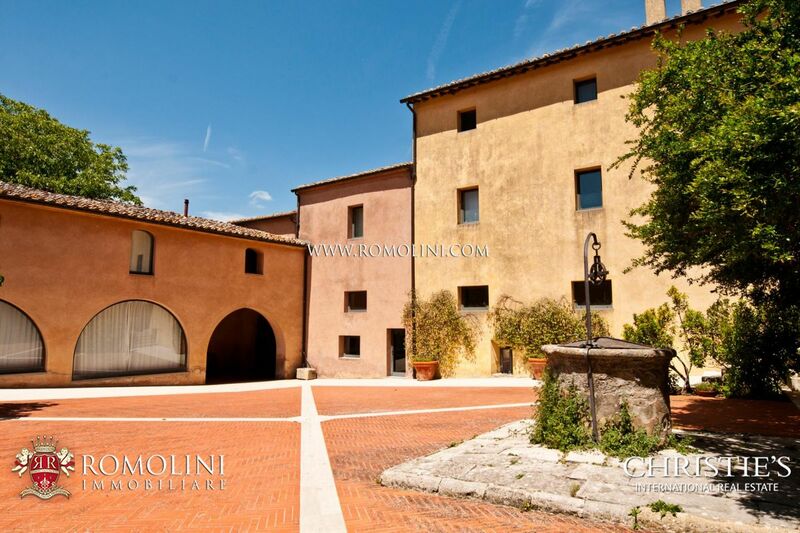 The monks inhabited the building up until 1784 when the Soppressione Leopoldina (1780-1790) deprived religious congregations of their possessions which became property of the Grand Duchy. 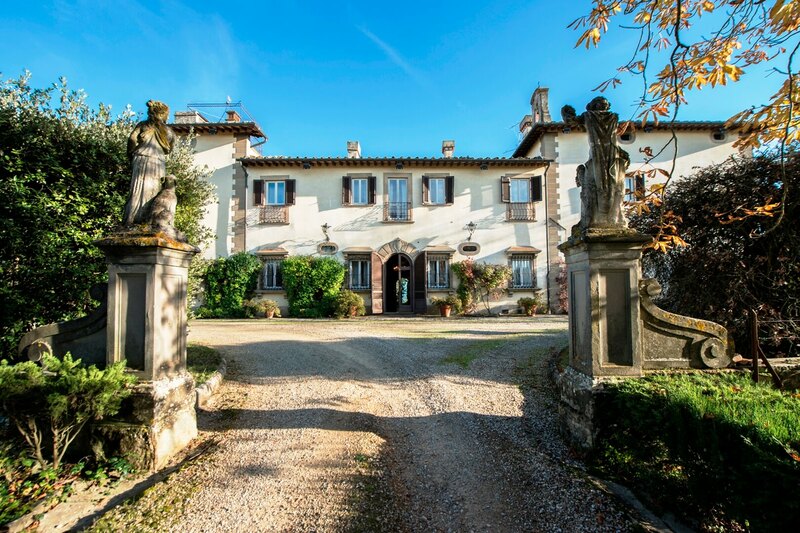 In 1831, the abbey with its land became private property and started changing hands: the last passage dates back to 1989 and right in this year the current owners started a great renovation which lasted almost a decade. 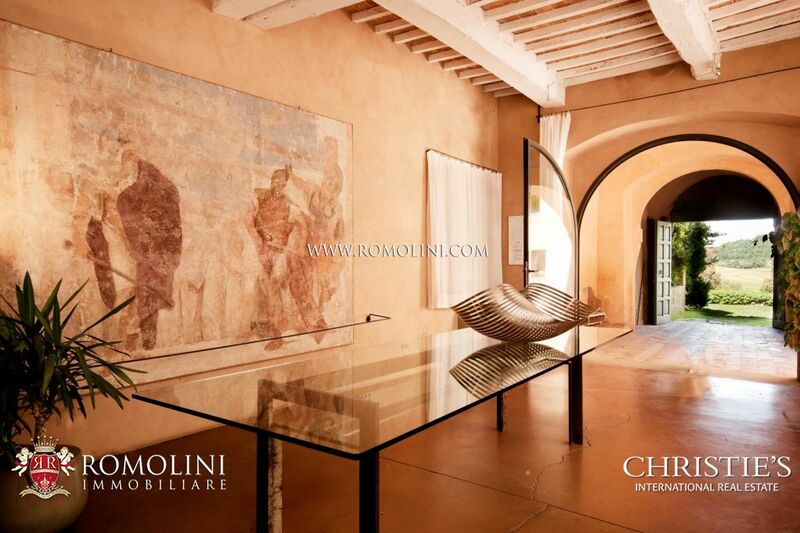 The renovation has been carried out following specific criteria which allowed preserving unaltered the aspect of the many buildings. 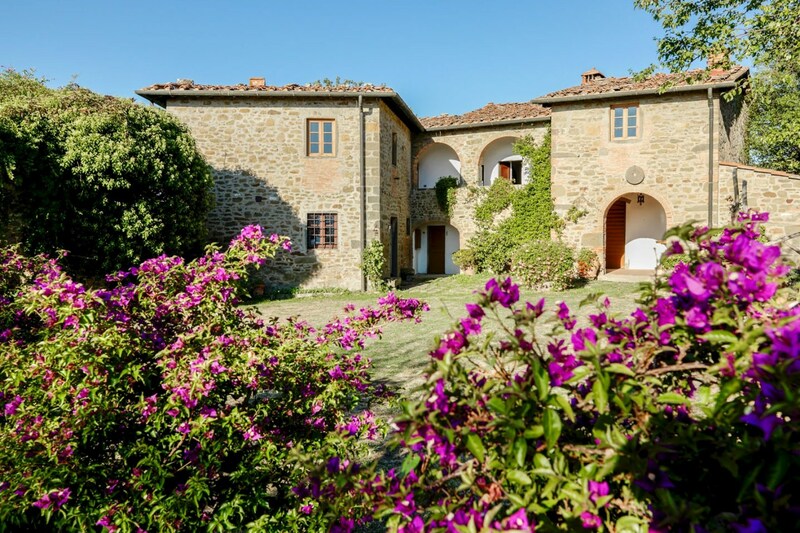 The farmhouses have been recovered and brought back to their original look without disregarding the typical features of Tuscan buildings: we can still see stone walls (thick so to grant thermal insulation), wooden beams supporting the ceilings and working stone fireplaces, all merged with the comfort of modern lifestyle. 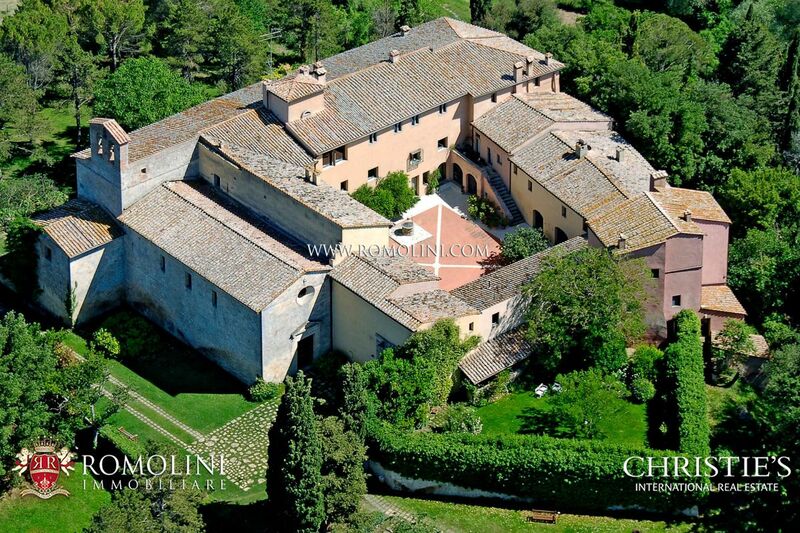 The abbey has been recovered too but converted into a luxury residence, partially used in the accommodation business. 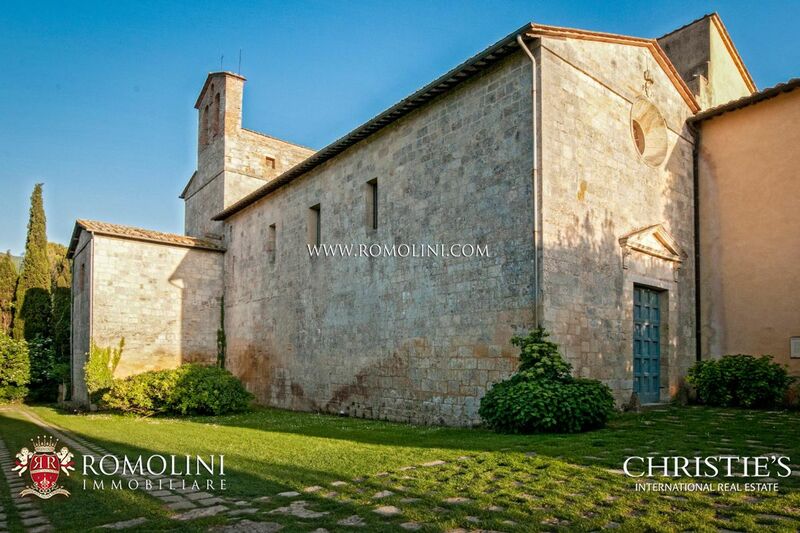 The shape of the building makes it past evident and allows appreciating its history as a monastery. 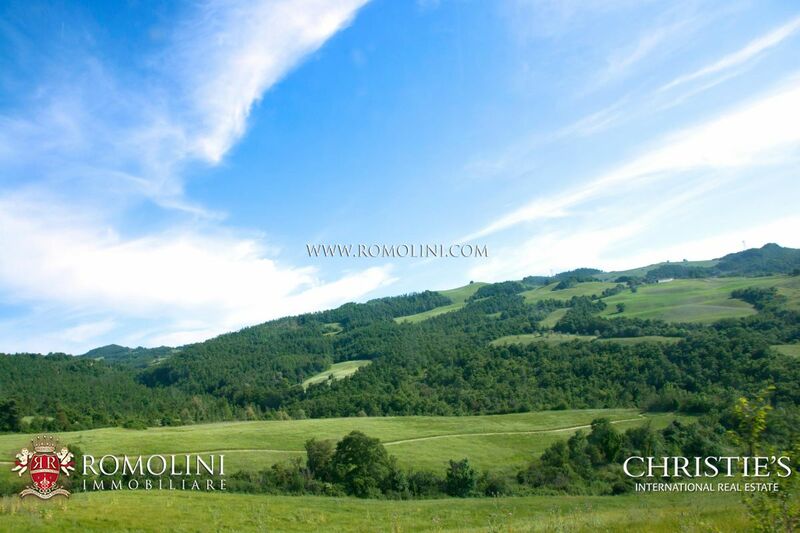 The estate, located between Valdichiana and Val d’Orcia, covers an impressive 755 hectares of land, varying between 600 and 780 m. The entire property (partially fenced) is registered as a hunting reserve. 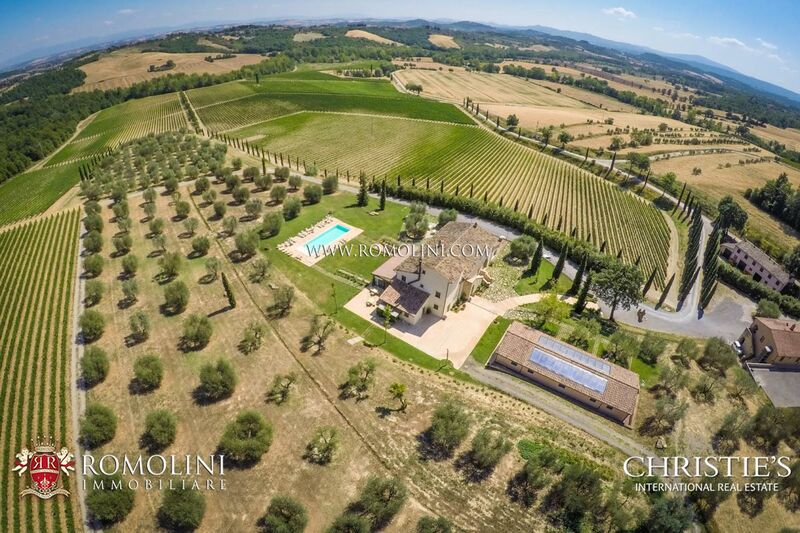 An ample lake (circa 4.3 ha) supplies the estate with water for irrigation. 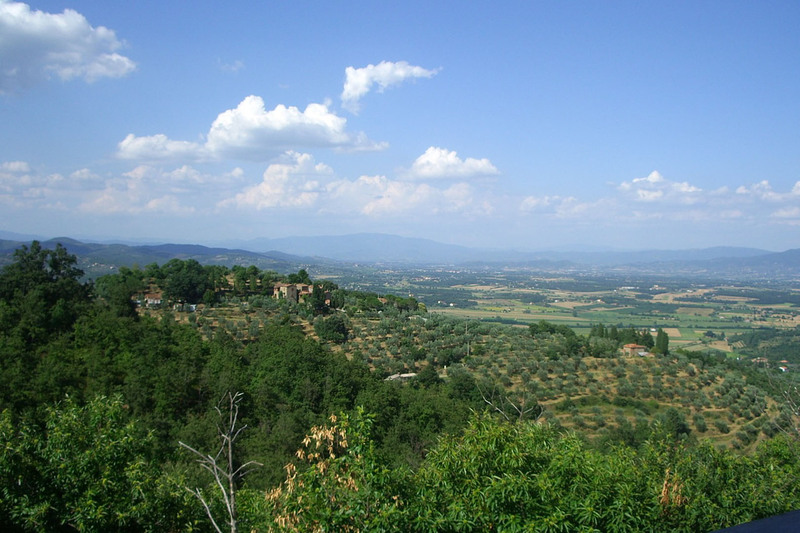 The land is split among arable land (382.4 ha), grazing land for livestock (32.4 ha), mixed woodland (327 ha, of which 5% of coppice wood) and an ample olive grove (8.4 ha). 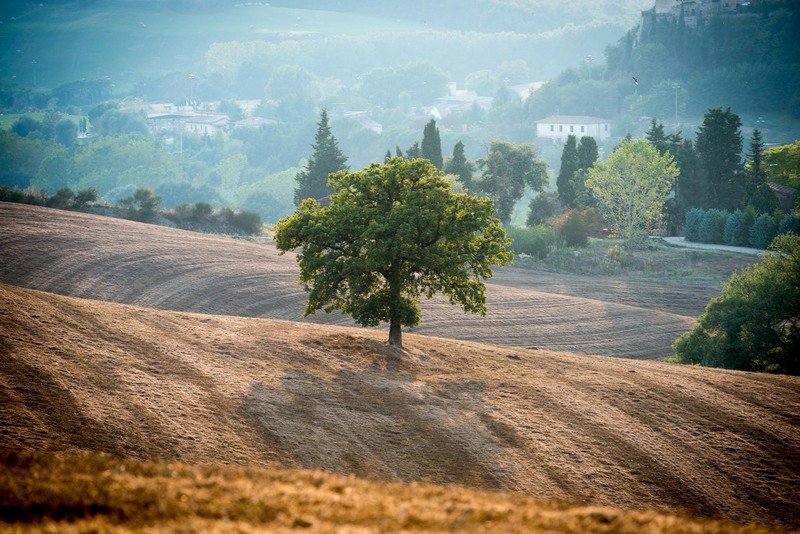 The remaining surface is covered by the buildings or not used in the agricultural business. 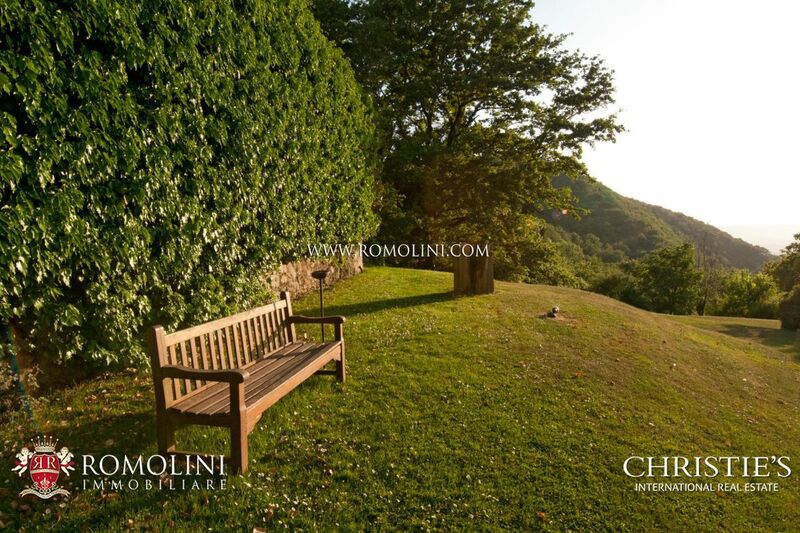 As far as woodland is concerned, it is interesting to note how the incline of the land is almost always light (except for a few sections) and is thus extremely easy to organized hiking in the land of the estate. 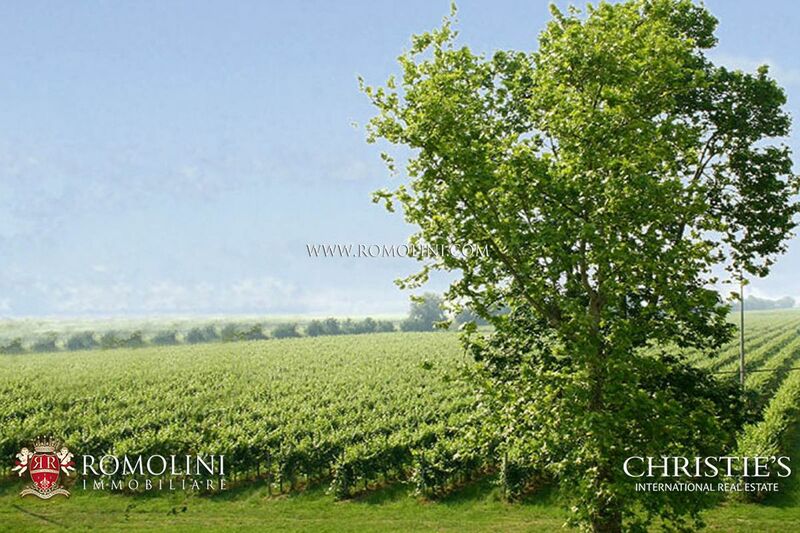 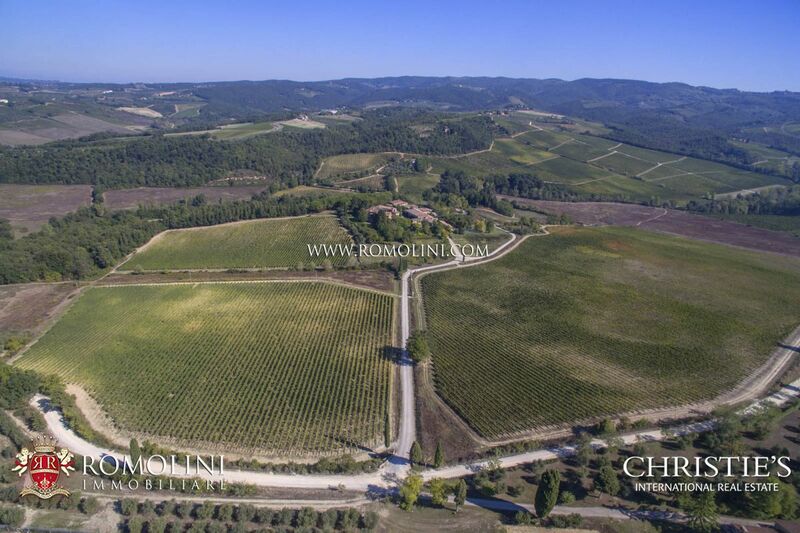 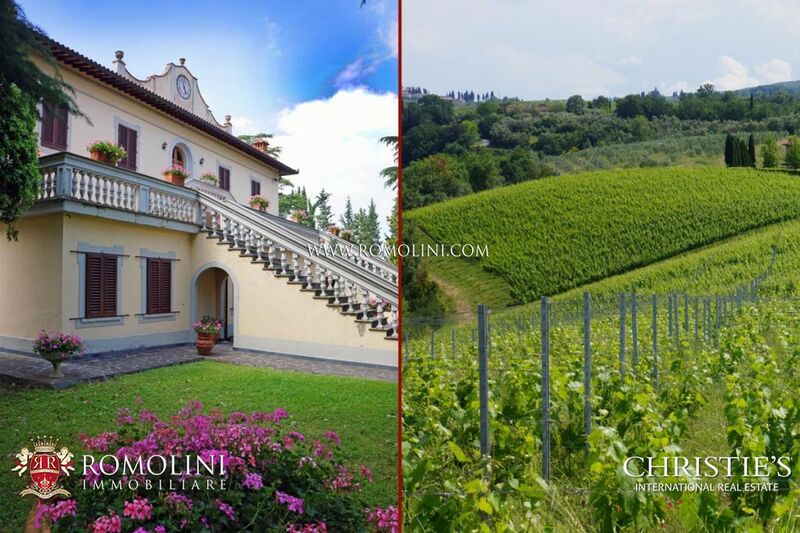 The several poderi making up the estate are well connected with each other by a convenient network of roads running almost 20 km inside the property. 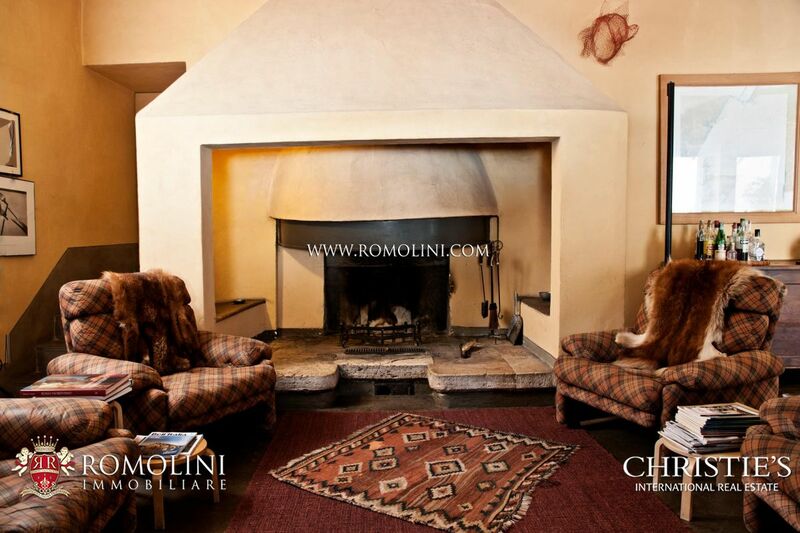 The estate is made up of many buildings and is currently working as an accommodation business. 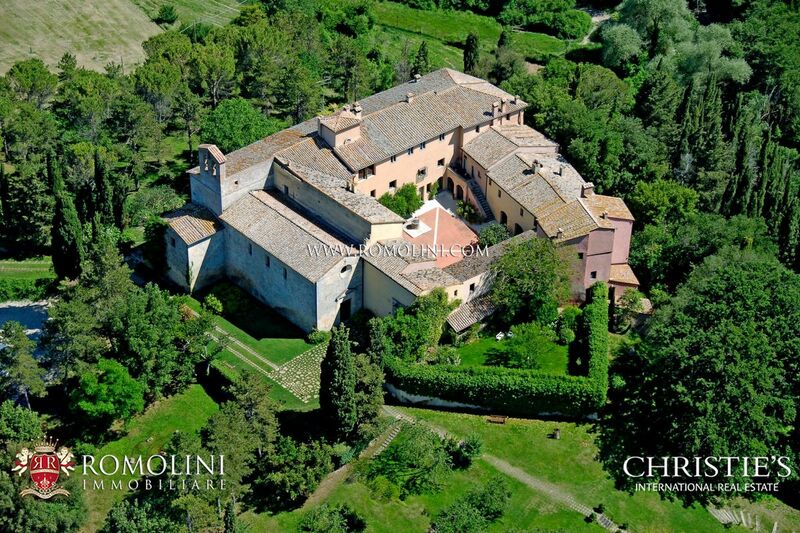 This includes part of the abbey, the foresteria and all the farmhouses. 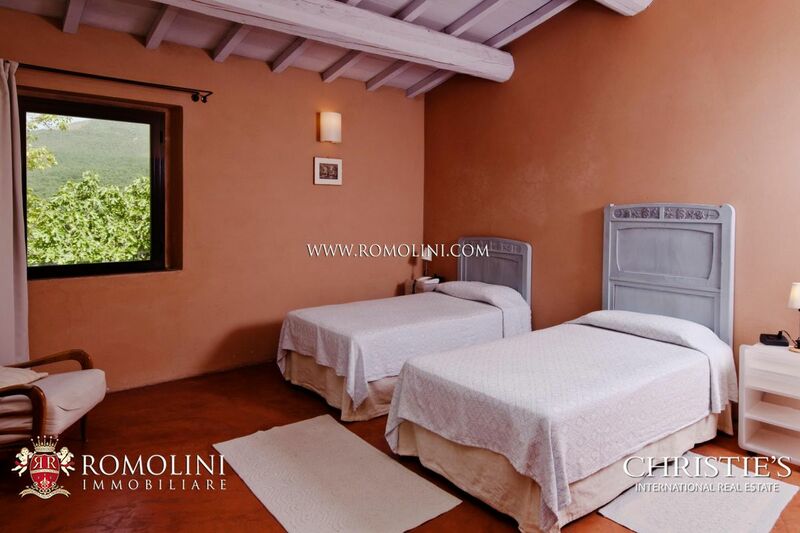 The high number of bedrooms allows receiving guest with no limitation whatsoever, while the ample outdoor areas can be used for activities such as hiking, didactical trips and mountain biking. 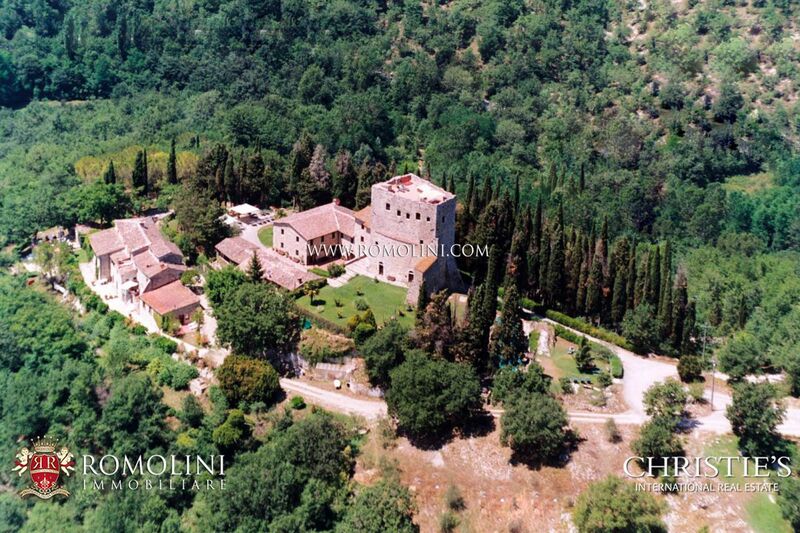 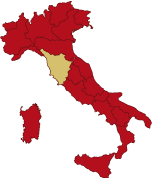 All this remaining close to the most beautiful towns of Tuscany, which can be reached by car in a short time frame.